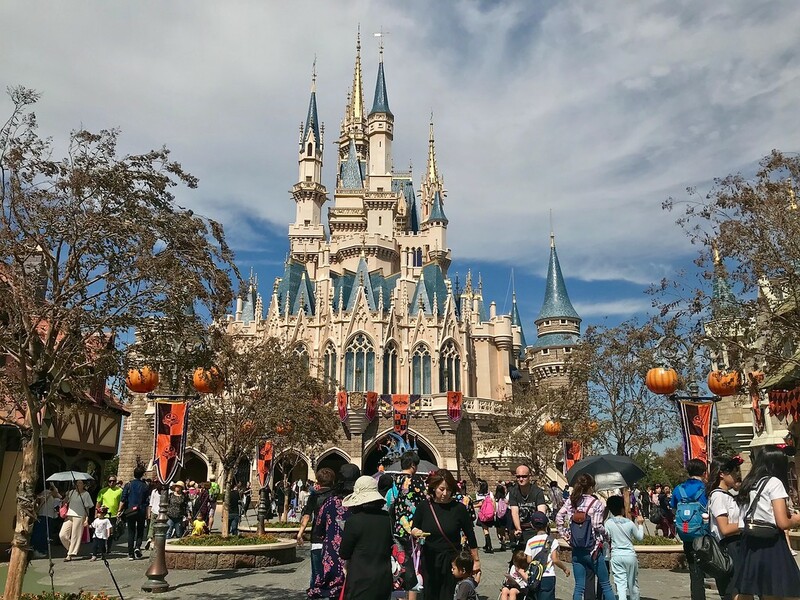 Tokyo Disneyland is a must-see attraction for many visitors to Japan. Here is our full guide, with transport information, ticket information, park map, and insider tips to skipping lines and getting the most out of your visit. 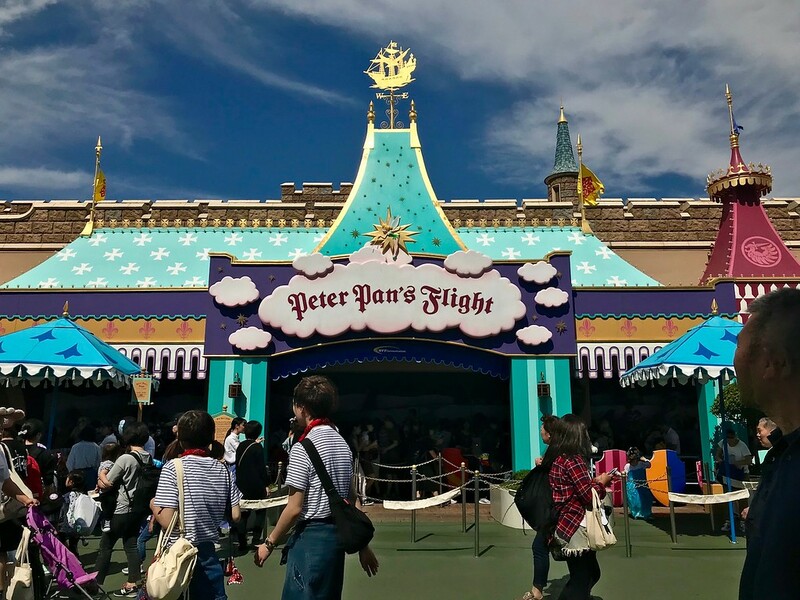 If you love amusement parks or have kids that do, you should definitely visit Tokyo Disneyland. It’s well-loved by adults and kids alike, and has a wide range of rides to suit all ages and personalities. 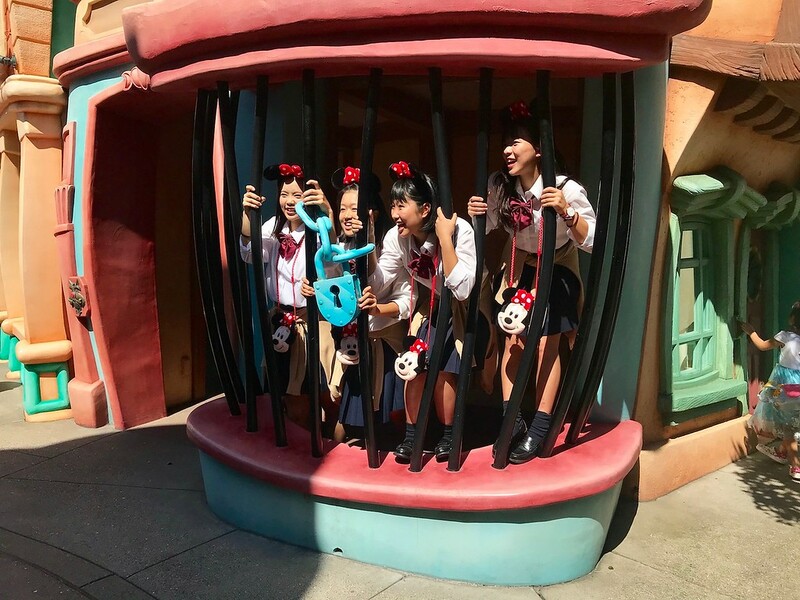 The combination of Disney magic and Japanese efficiency makes it one of the most enjoyable amusement parks anywhere. 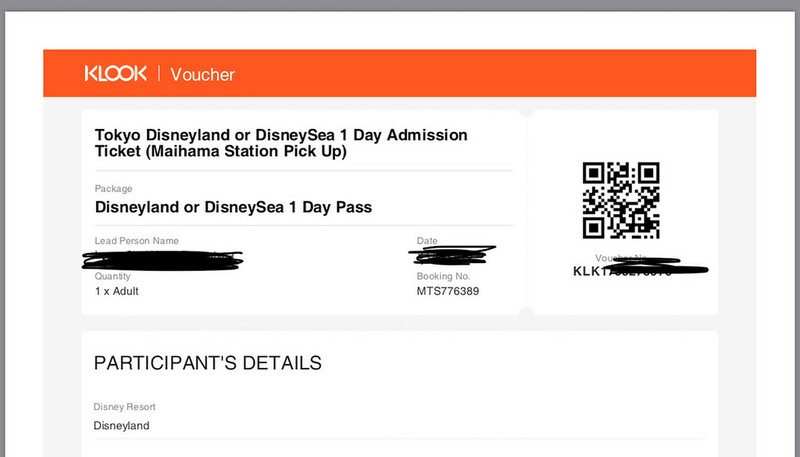 Tokyo Disneyland is right next door to Tokyo DisneySea, nad you can buy tickets covering both attractions. 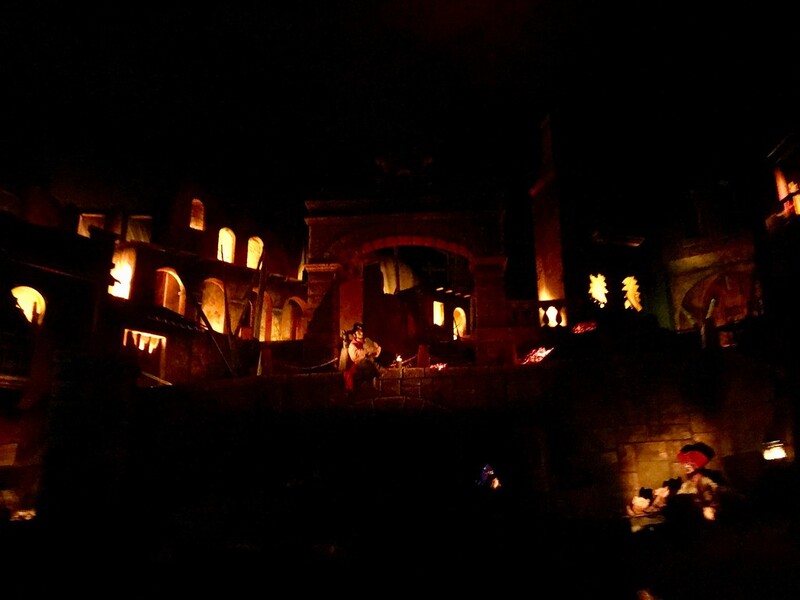 See also our comprehensive guide to Tokyo DisneySea. The best way to get tickets and avoid waiting on line is to purchase tickets in advance via Klook. We’ve tested Klook and found it to be reliable and easy to use. Another similar option is purchasing tickets online from GoVoyagin. See the following section for more details. Tokyo Disneyland is 17km east of central Tokyo, in Urayasu City in Chiba prefecture. It is very easy to travel there from central Tokyo. 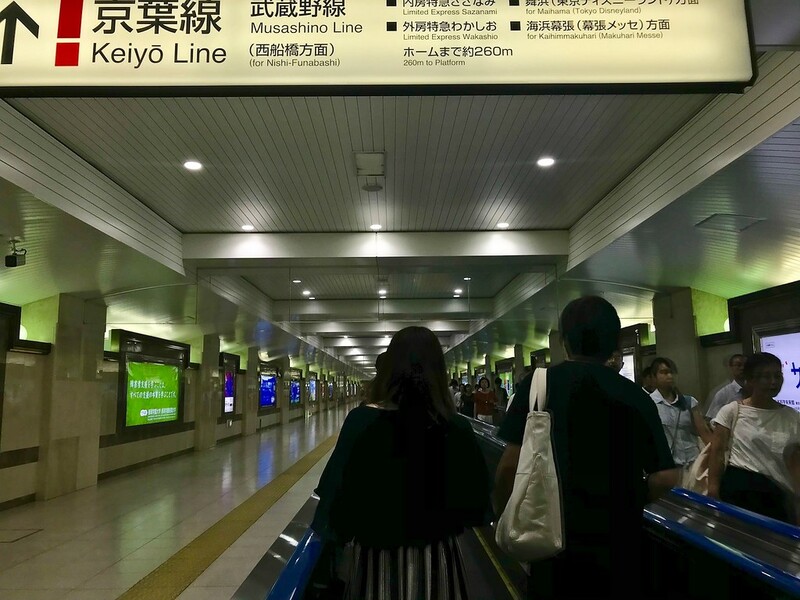 The journey takes approximately 25 minutes in total from JR Tokyo Station. 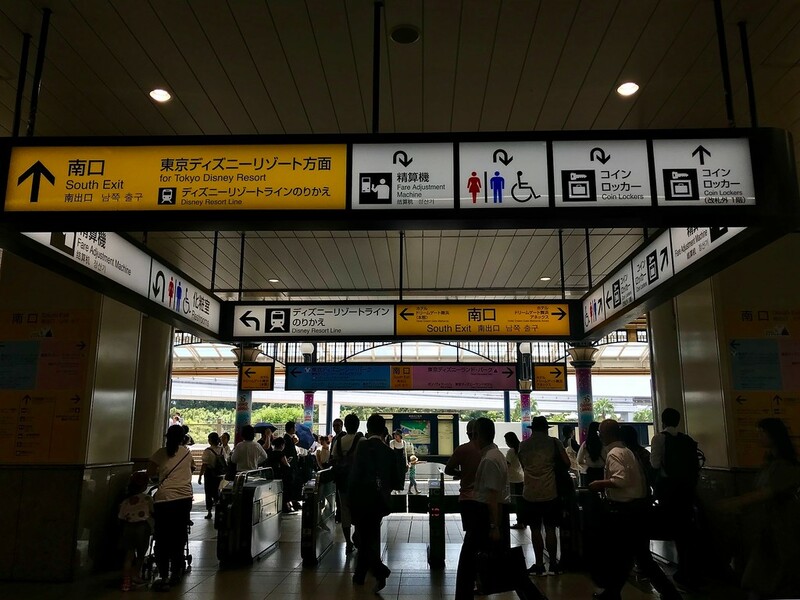 You can use a Japan Rail Pass for this journey. 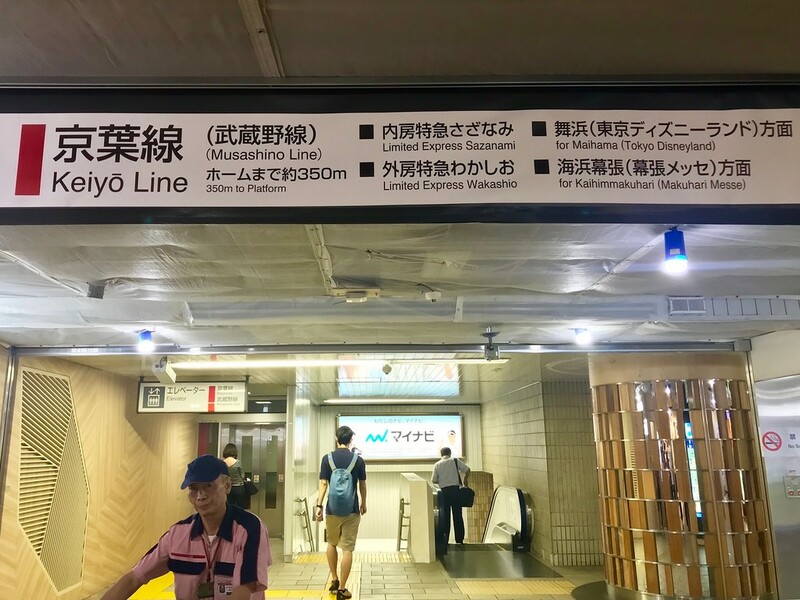 Here’s a summary of the basic route from JR Tokyo Station: Take the JR Keiyo Line from JR Tokyo Station to JR Maihama Station. 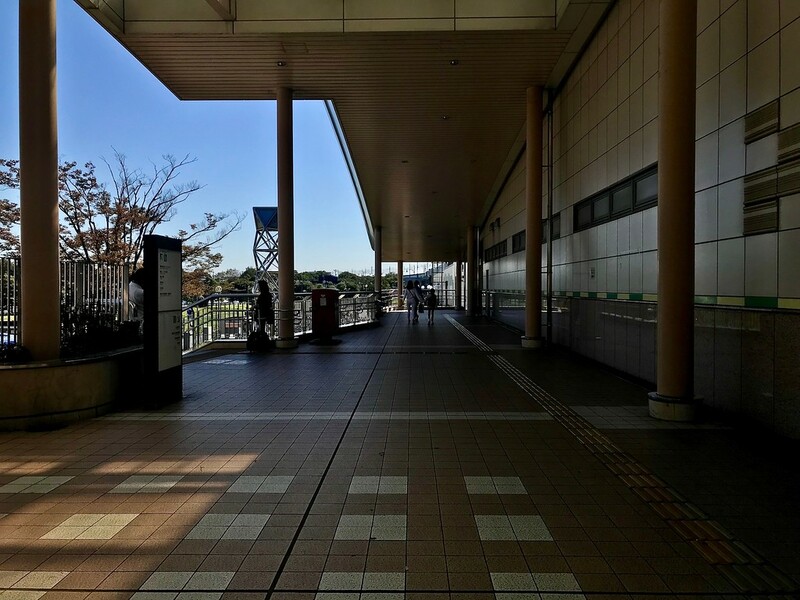 From here, it’s a 5-minute walk to Tokyo Disneyland. Note: When purchasing your Klook ticket, you may have a voucher that says pickup is required at the North Exit, as pictured above. 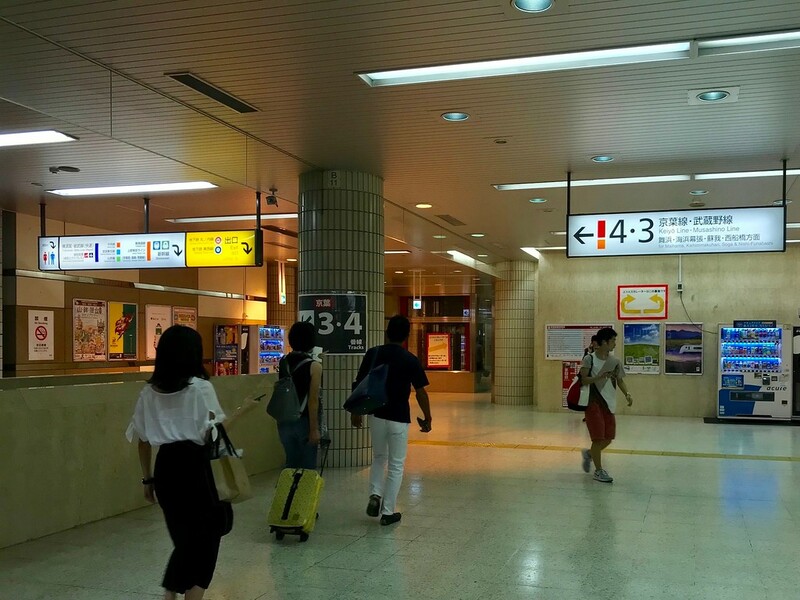 If this is the case, take the North Exit at Maihama Station. There will be a member of staff directly outside the barriers. 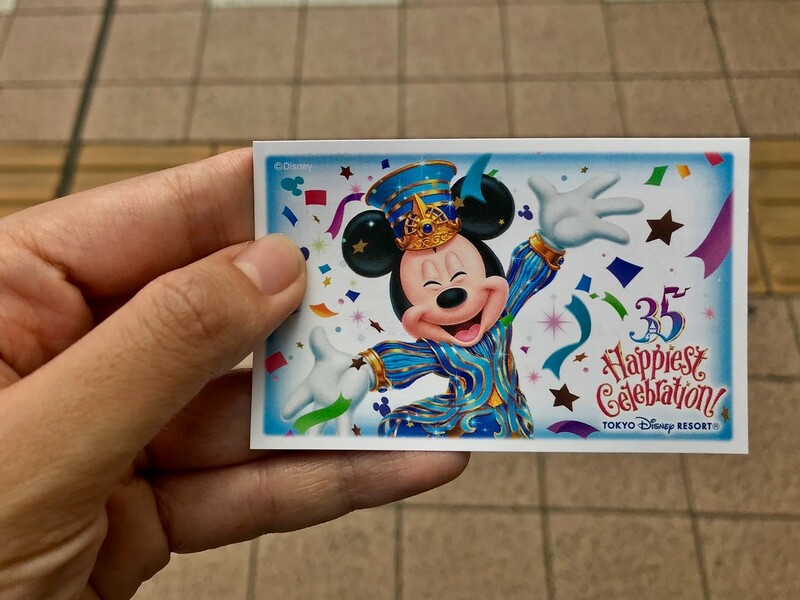 Show them your voucher with your name on it, and they will hand you a Disneyland ticket. 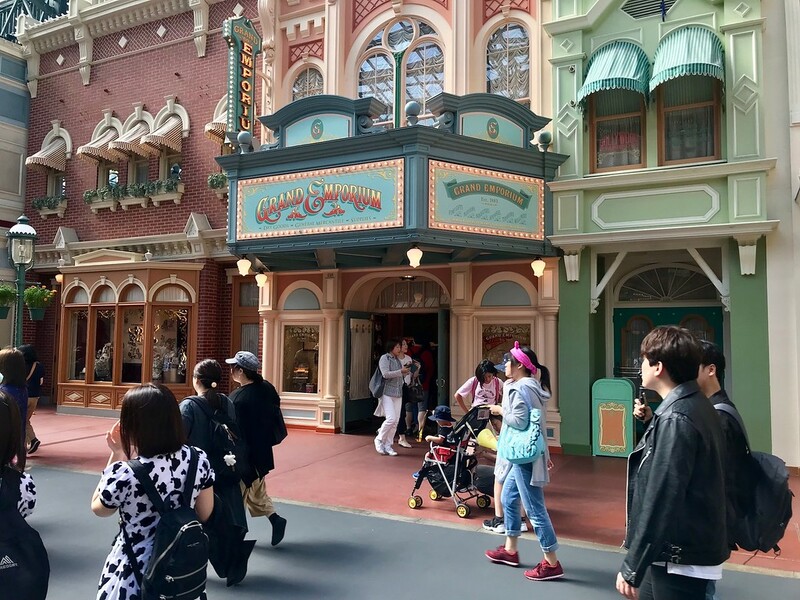 It’s very important to note that you cannot go directly to the entrance of Disneyland with this particular Klook voucher - they won’t let you in and you’ll have to head back to Maihama Station. 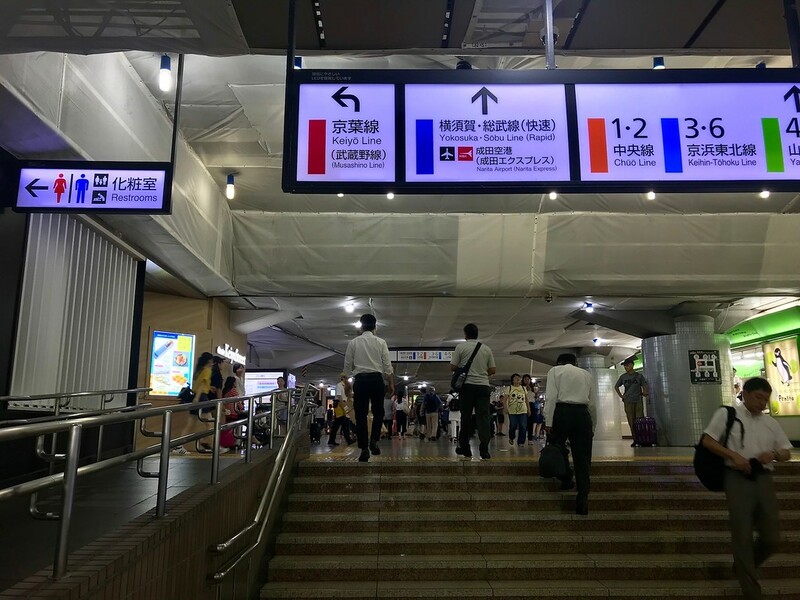 After picking up your ticket, head back to the South Exit by turning right and following the signs, through the passage that will lead you back to the other side. 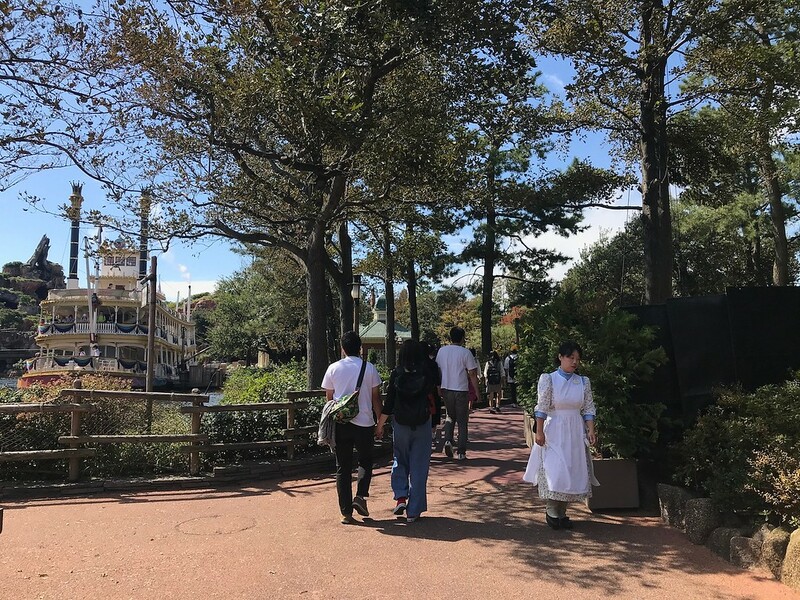 After you exit through the ticket barriers at the South Exit, you’ll need to turn left and walk towards the Resort Gateway Station for Tokyo DisneySea. Turning right will take you to Tokyo Disneyland. Turn right and follow the walkway for 4-5 minutes. 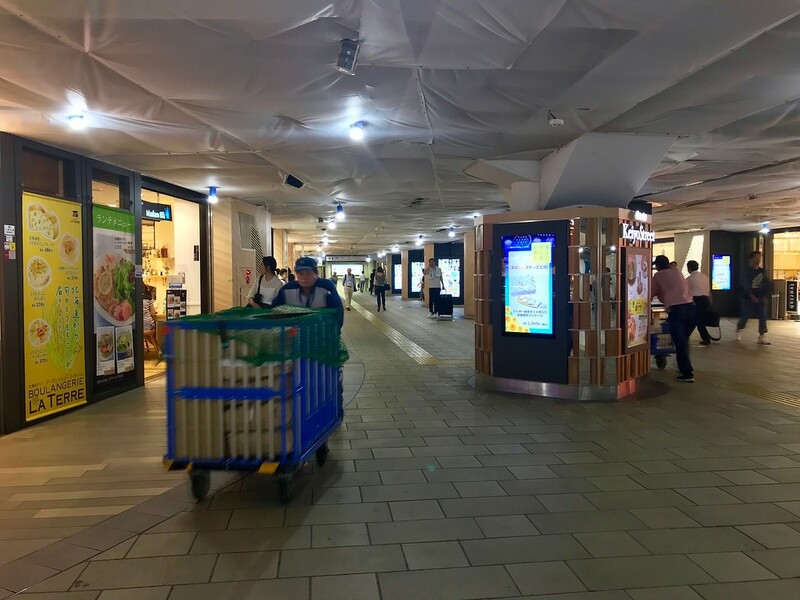 You’ll reach the first set of barriers, where the staff will check the contents of your bag. There is a slight bottleneck here, but this will be over fairly quickly. Have your ticket ready and walk past the queues of people for same-day ticket purchase. The staff will scan your ticket and you’ll be in the park. 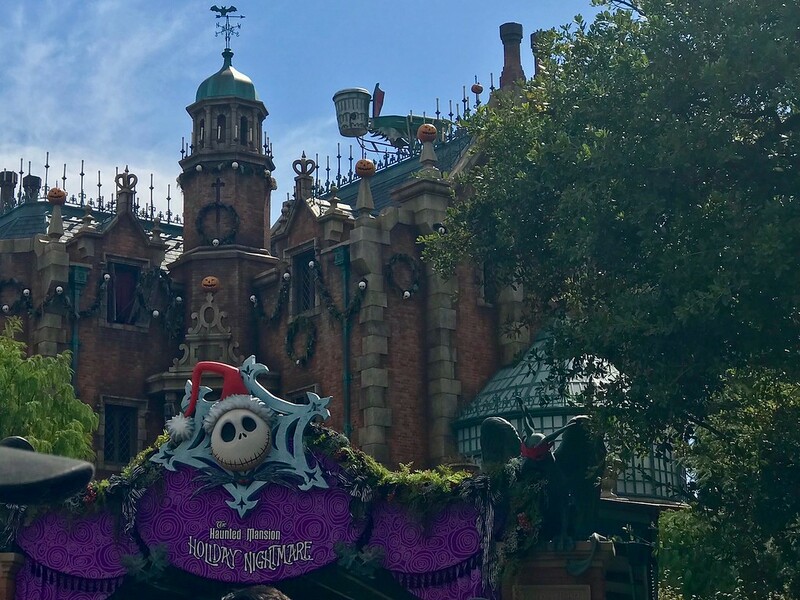 Like any popular theme park worth its salt, Disneyland attractions often see long queues and wait times. 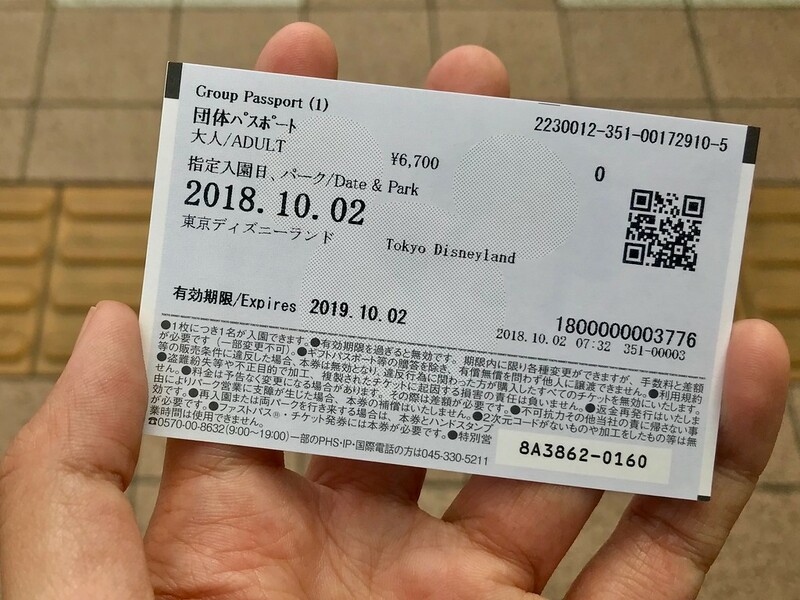 Disney theme parks have a FastPass system in place to help visitors maximize their time in the park, and you should use it at Tokyo Disneyland as well. 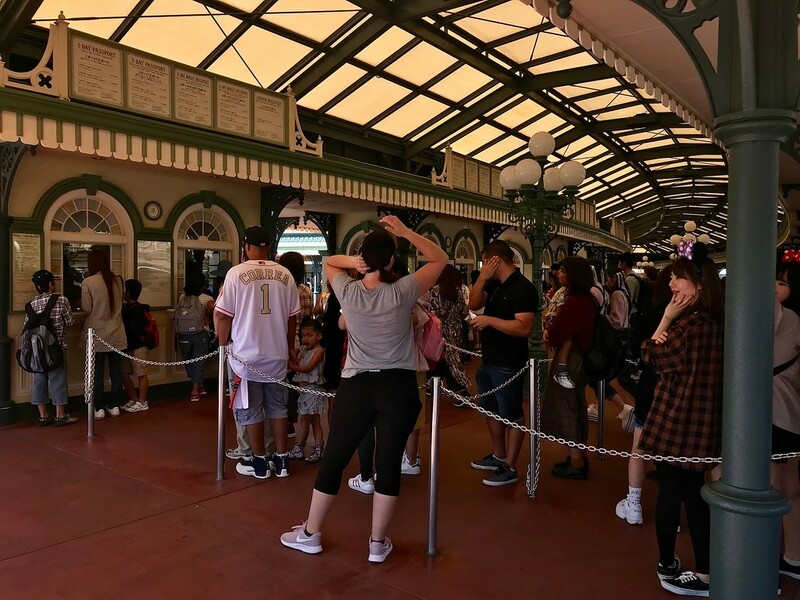 Simply put, a FastPass ticket allows you to skip the queues. You can claim a ticket by scanning the QR code on your voucher or ticket (so don’t throw it away) in a FastPass machine. The machine will dispense a ticket showing a particular time slot. 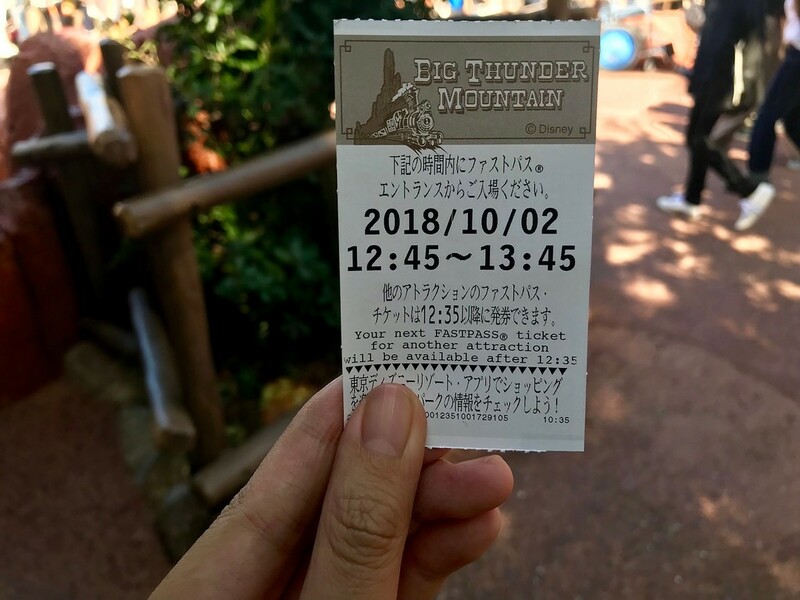 In the ticket above, this is for 12:45~13:45, meaning you would need to return to the Big Thunder Mountain ride during this window. You’ll join the FastPass queue which invariably has fewer people. In between, you can explore the surrounding area, go on other rides, check out the overpriced snacks, and so on. 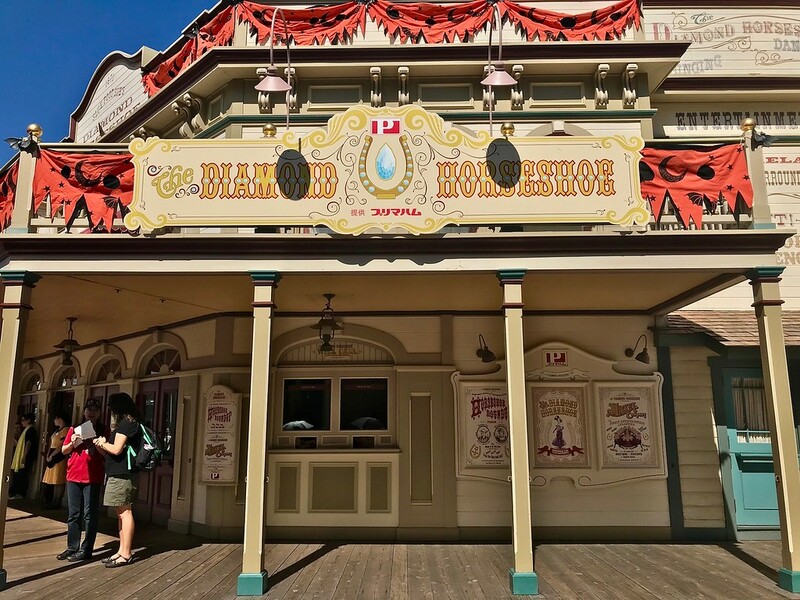 Waiting time for popular rides can be an hour or more, so it pays to plan ahead. 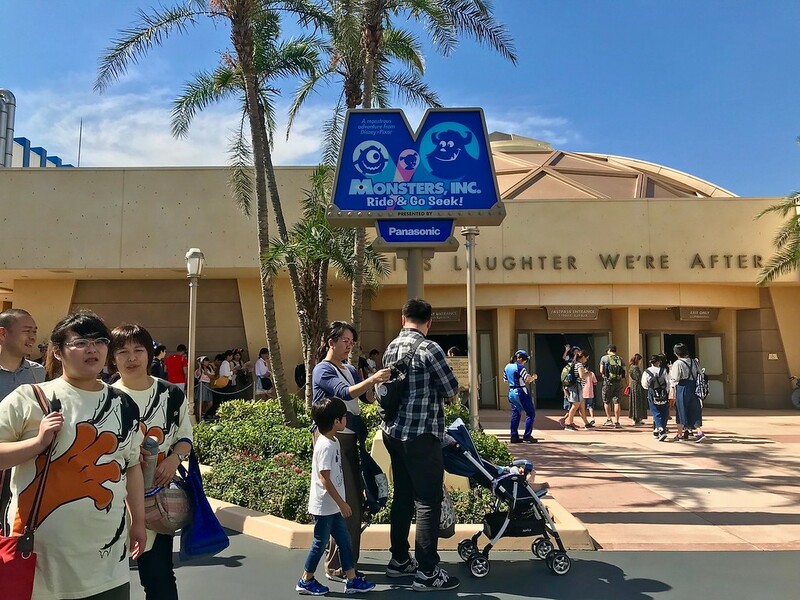 The important thing to remember is that there are a limited number of FastPasses available on any given day, and they run out much faster for some attractions than others. 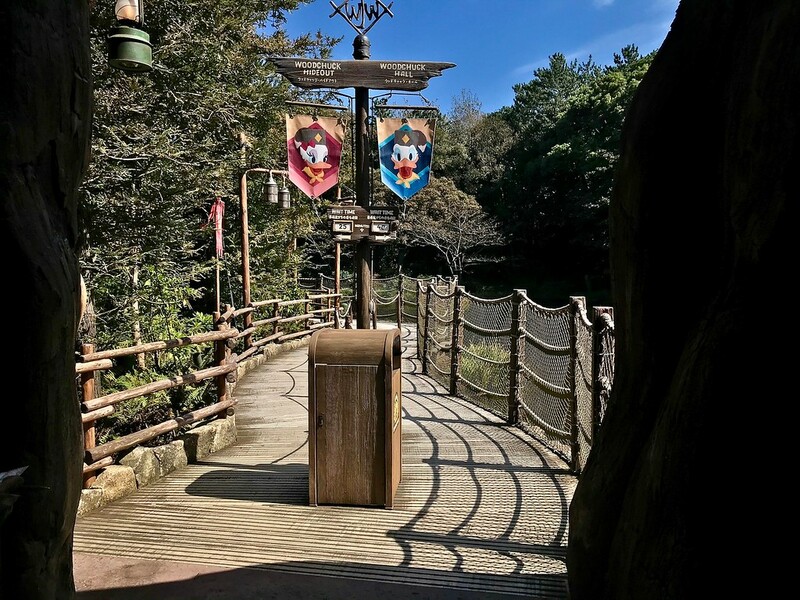 For example, if you must ride Pooh’s Hunny Hunt at any cost, this is probably the first FastPass you should obtain - passes here run out the quickest. 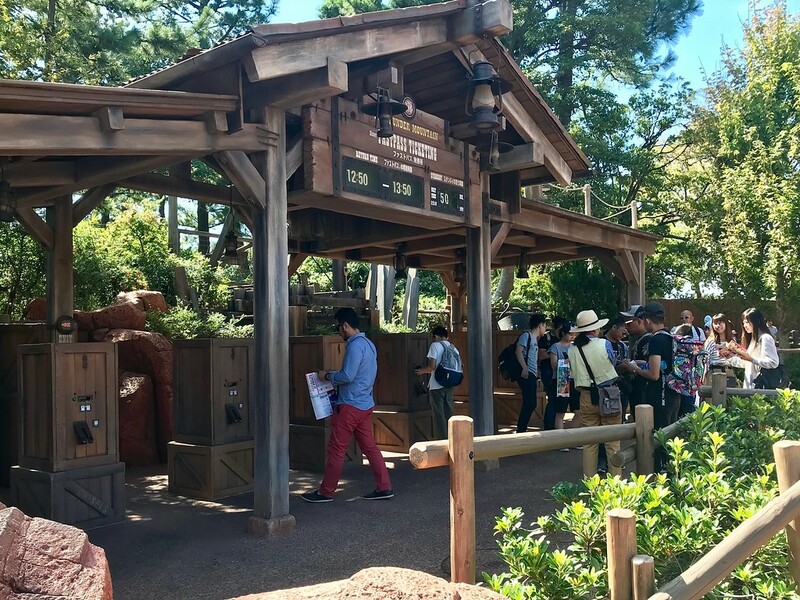 By around 11:30am on a sunny weekday, the earliest available FastPass for this ride may be around 8:00pm. Here, we’ll give a basic walkthrough of the park and mention the main rides and areas. 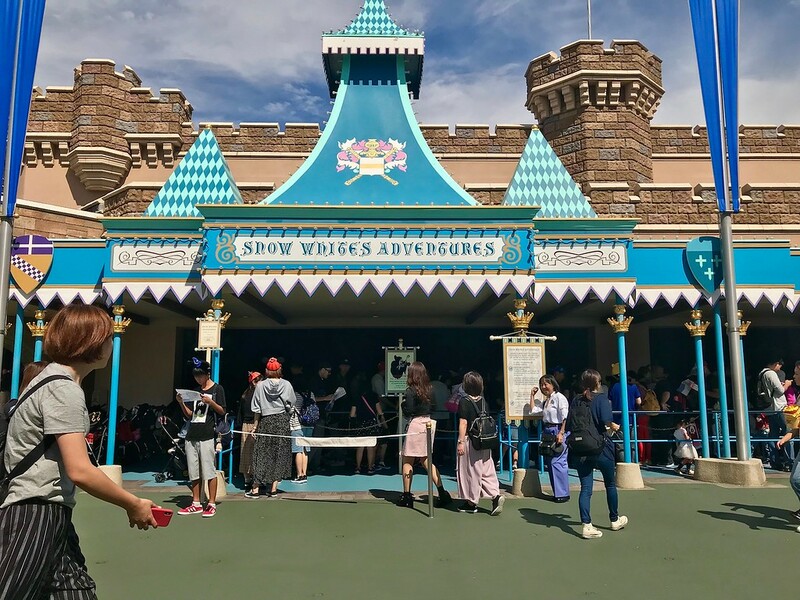 All of the attractions and areas mentioned here are on our special Tokyo Disneyland at the end of this section. World Bazaar is the first zone you enter. It is styled to look like an early 20th-century American town. There are no rides to be found here; only shops and restaurants. 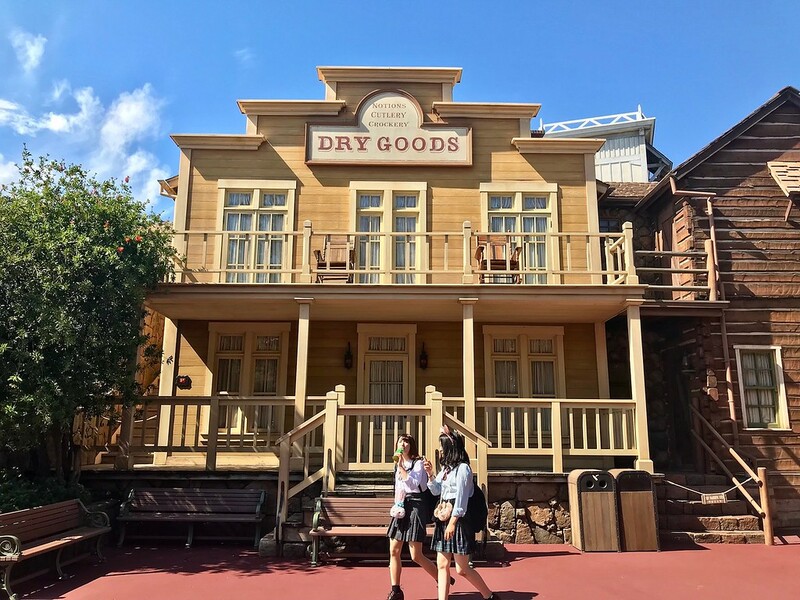 It’s the main shopping area for guests and probably the best place to pick up all your Disney paraphernalia and costumes. 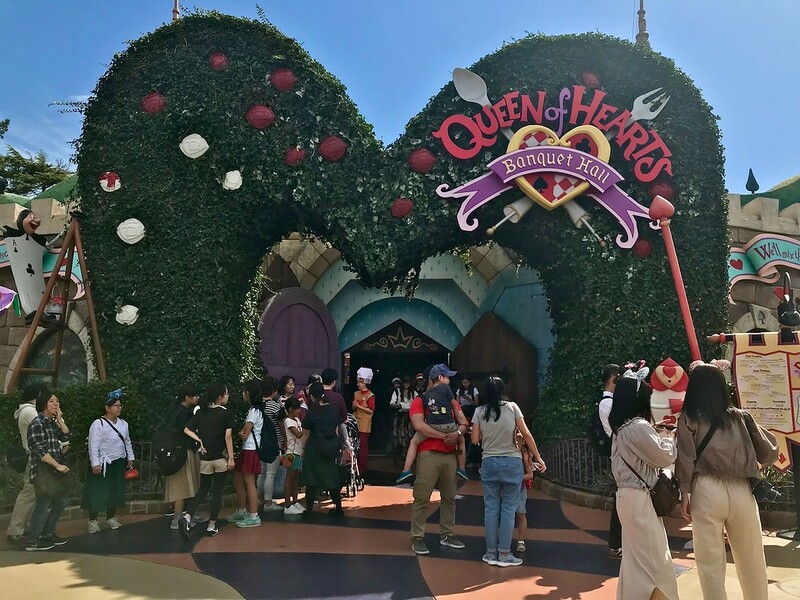 You’ll find restaurants such as Center Street Coffeehouse, Restaurant Hokusai, and Sweetheart Cafe here. 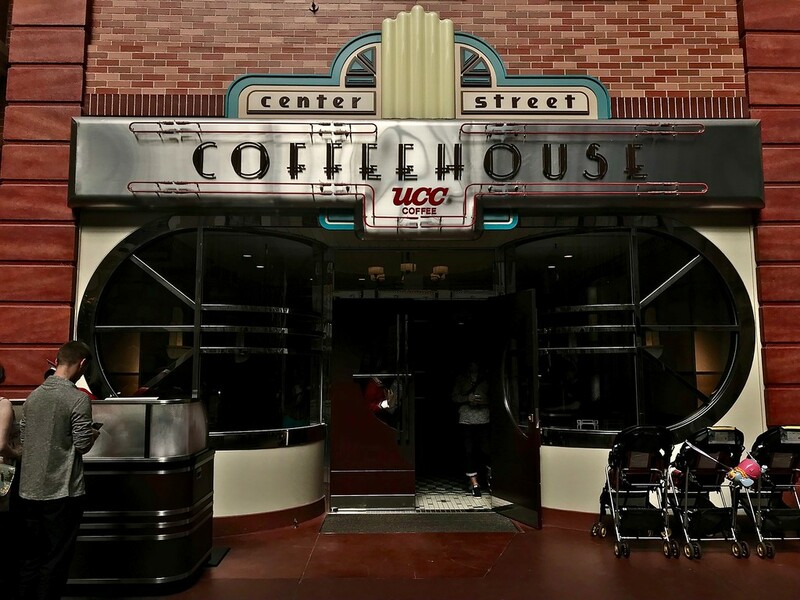 Center Street Coffeehouse is a popular all-day restaurant. 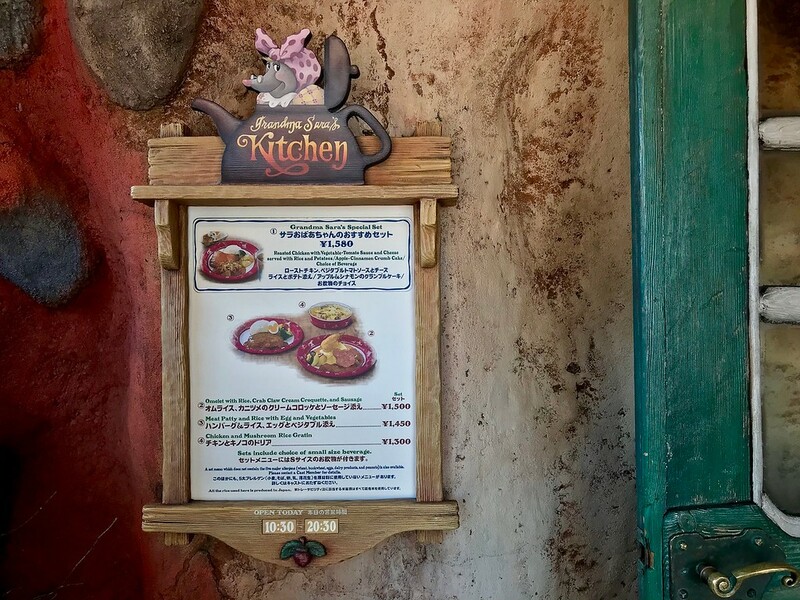 Previously, guests were able to make reservations for lunch or dinner. However, this has changed and now you have to show up and queue. 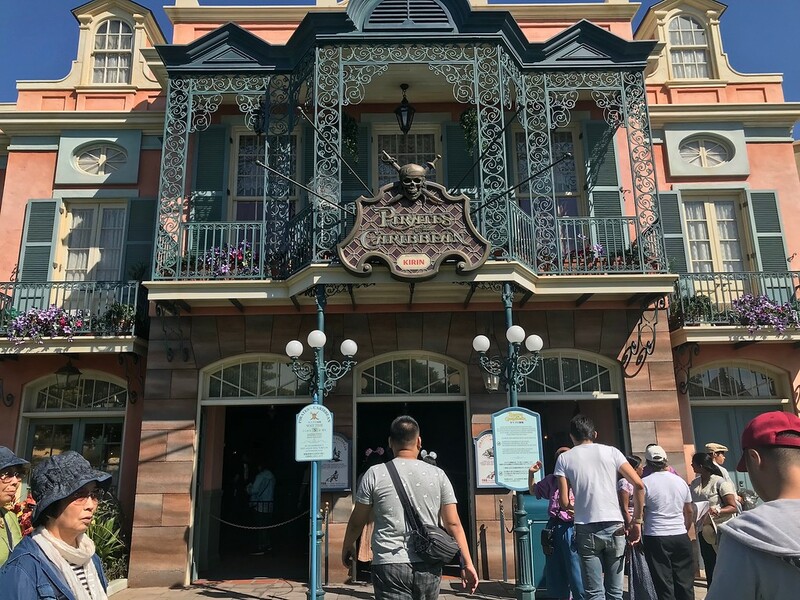 It’s styled to look like a Twenties-style cafe-diner in New York, and has illustrations from The Aristocats painted on the walls. They serve primarily Japanese-style Western food. Not all of the main dishes - like the meat patty - are accompanied by rice so you’ll have to order this separately. On the bright side, they’ll give you endless refills of rice. Walking straight on after entering the World Bazaar, you’ll see Cinderella’s castle in the distance. 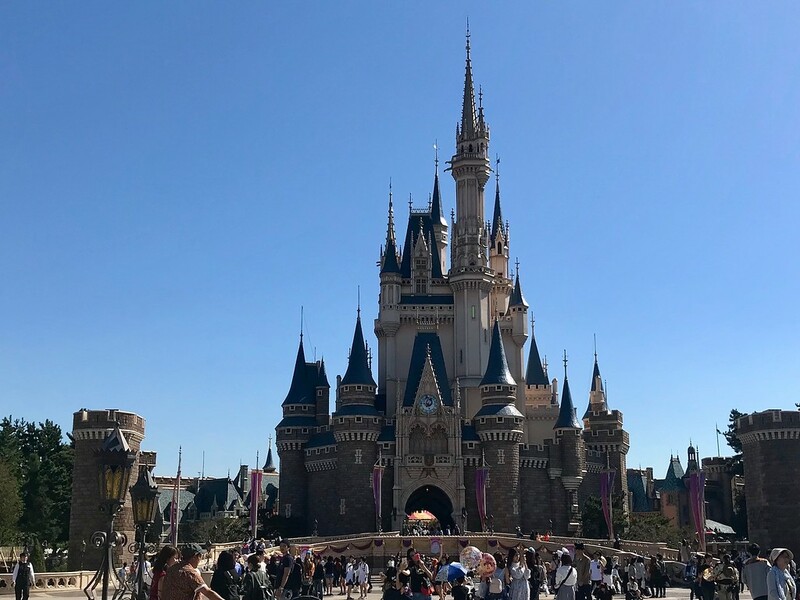 The castle is the central landmark of Tokyo Disneyland. There is a large central circular space in front of the castle. You’ll see many people seated on the roadside on tarpaulin mats, portable chairs, or just on the ground. 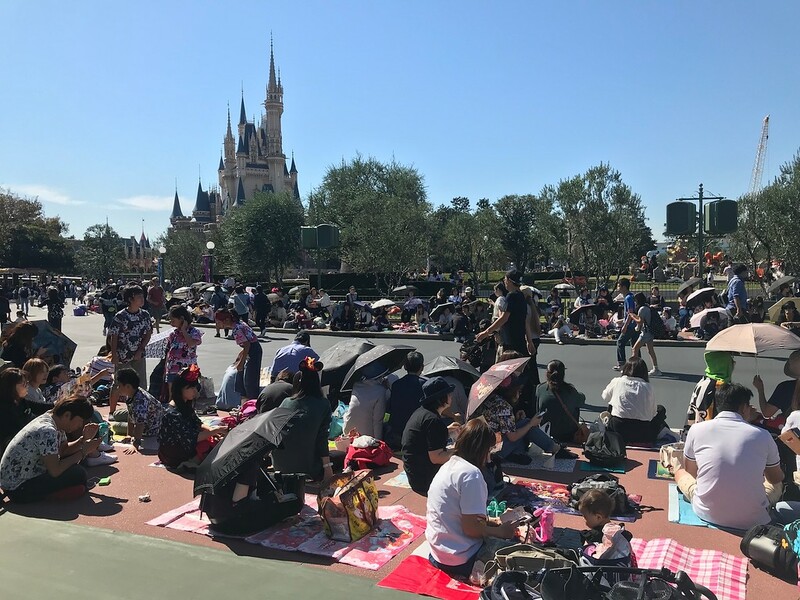 Many guests camp out on the roadside to snag prime viewing spots for the parades that take place several times a day. Sometimes they’ll be waiting as early as 2-3 hours in advance, no matter what the weather is. If watching a parade up close is a priority for you, you may want to join them. 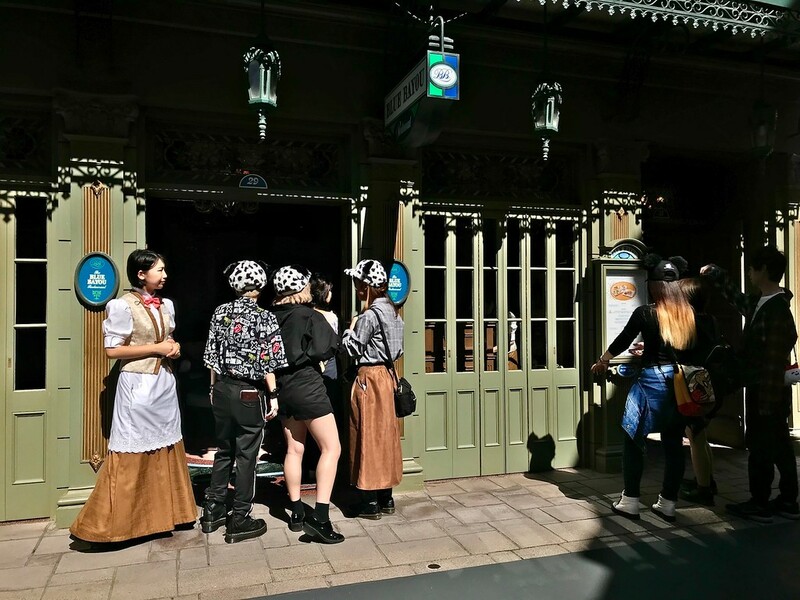 Between the World Bazaar and the entrance to the park, you’ll see Disney staff dressed up as different characters throughout the day. You’ll also see permanent queues for photo opportunities with characters like Minnie Mouse and the mice from Cinderella. 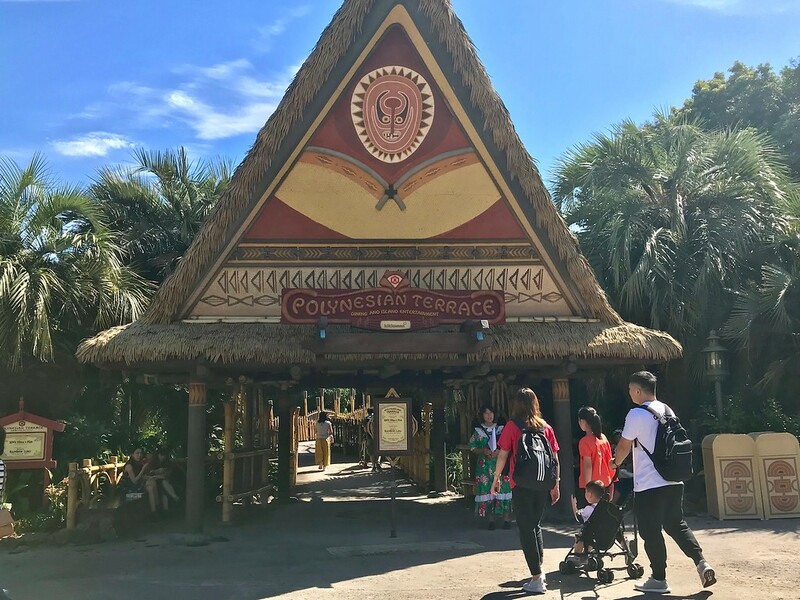 Exiting the World Bazaar and turning left will take you to the next zone, Adventureland. Adventureland is, as the name suggests, all about adventure. There is a distinct New Orleans swamp-theme to this zone, and many tropical plants here. 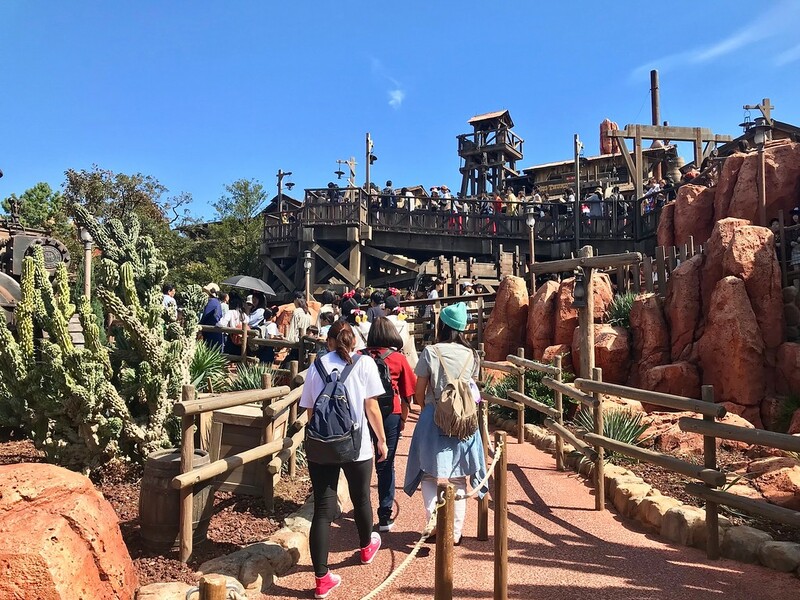 This zone is home to rides such as the Pirates of the Caribbean, Western River Railroad, and Jungle Cruise: Wildlife Expeditions. 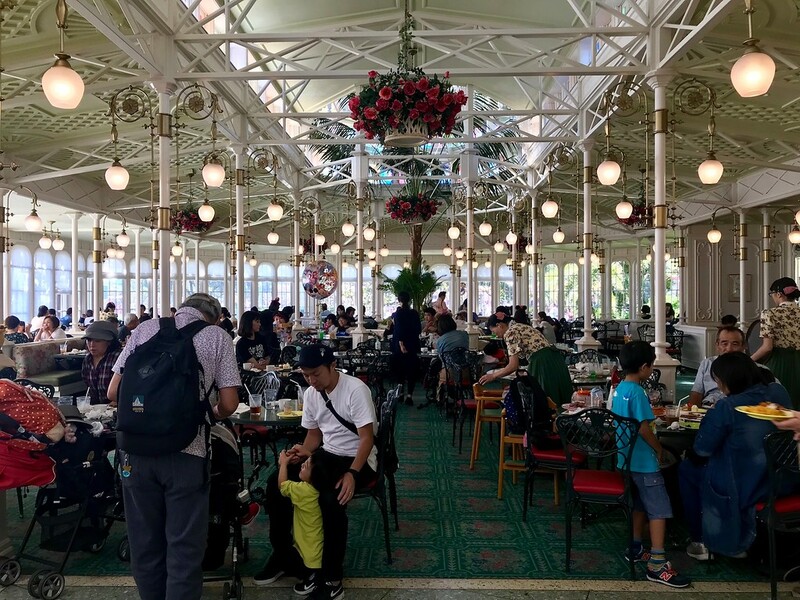 There are also a number of restaurants and stalls here, such as the Blue Bayou Restaurant, China Voyager, Polynesian Terrace, and The Gazebo. On entering the zone, you’ll notice a building to your right that looks like a glasshouse. This is the Crystal Palace Restaurant where you dine buffet-style. 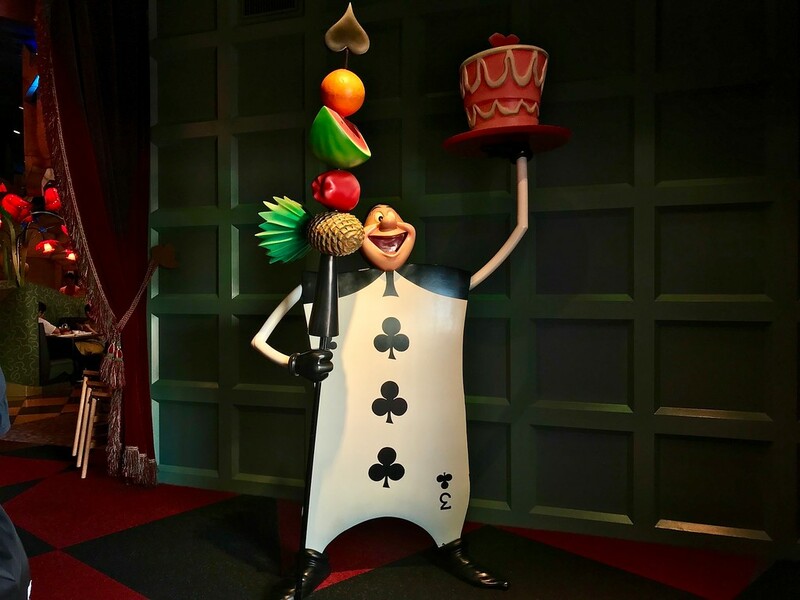 It’s extremely popular due to the availability of ‘character dining,’ i.e. 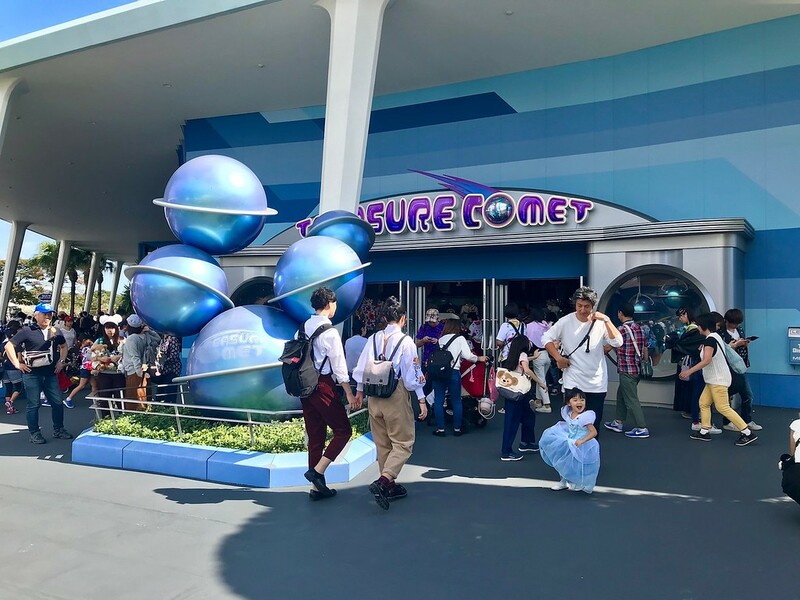 Disney staff dressed up as various characters will visit your table during certain hours. This requires advance reservation, preferably online. It’s also popular due to its location. 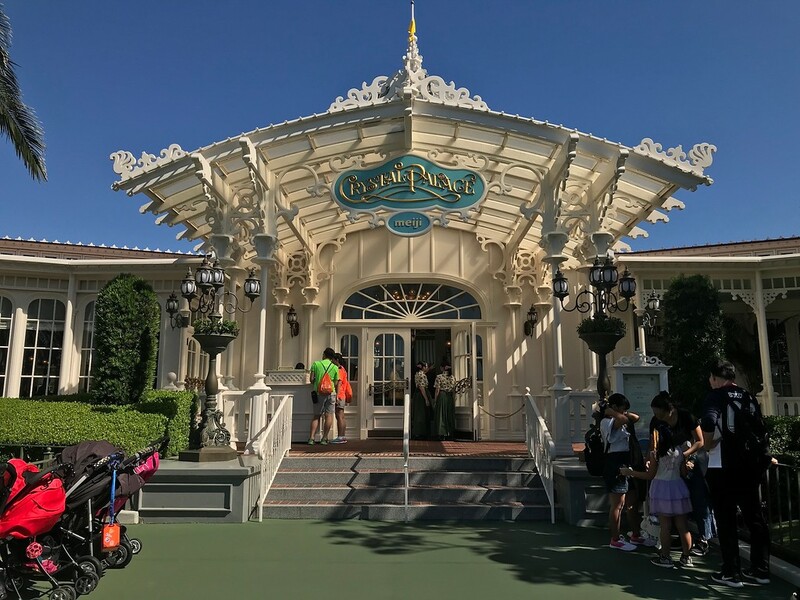 There are good views of the Disney parade from window seats, and many guests will make reservations online to coincide with the parades, prior to visiting Disneyland. If this is a must-eat place for you but you haven’t made a reservation online, you will need to head here first thing in the morning to make either lunch or dinner reservations. 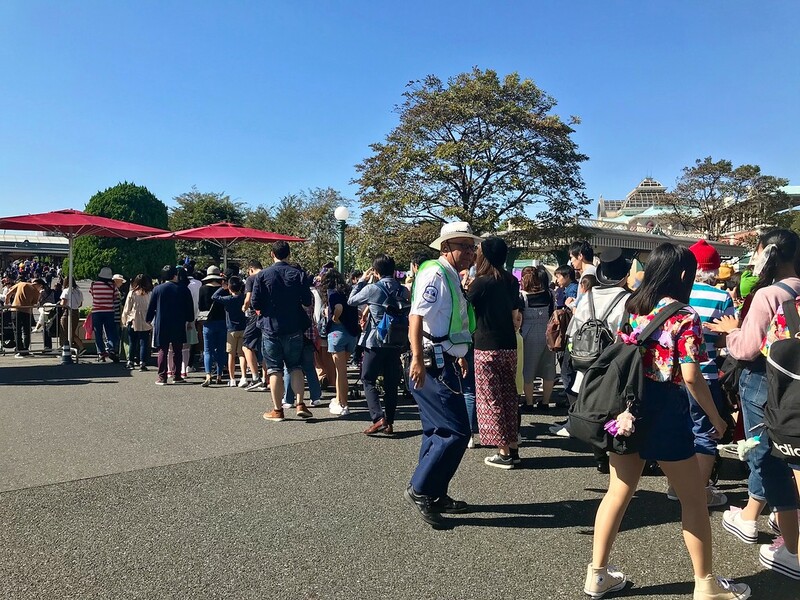 (In fact, you will see a queue just to make a same-day reservation.) Otherwise, you may need to wait in line for at least half an hour to an hour for lunch or dinner. If you have not decided to look at the Crystal Palace Restaurant, keep left and walk onwards. You’ll see the Pirates of the Caribbean ride to your left. Walking further along, you’ll pass many restaurants and shops, such as Cafe Orleans and Party Gras Gifts. Keeping further left will take you down a small side street connecting back to the main road, where you’ll find the Blue Bayou Restaurant. This is another restaurant that’s very popular with guests and where you can make lunch or dinner reservations. 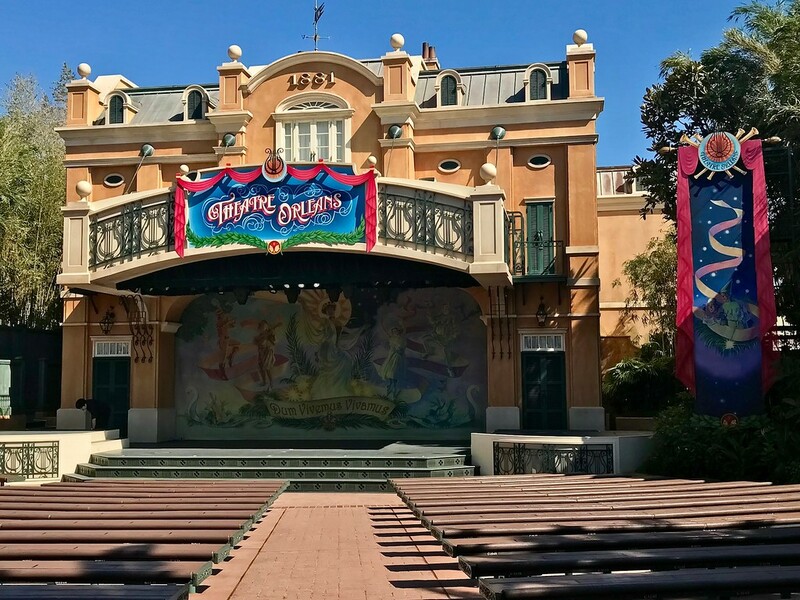 Nearby is the Theatre Orleans, where they hold shows every few hours. Walking straight will take you to a more open area with several attractions. To your left you’ll see the Western River Railroad ride. 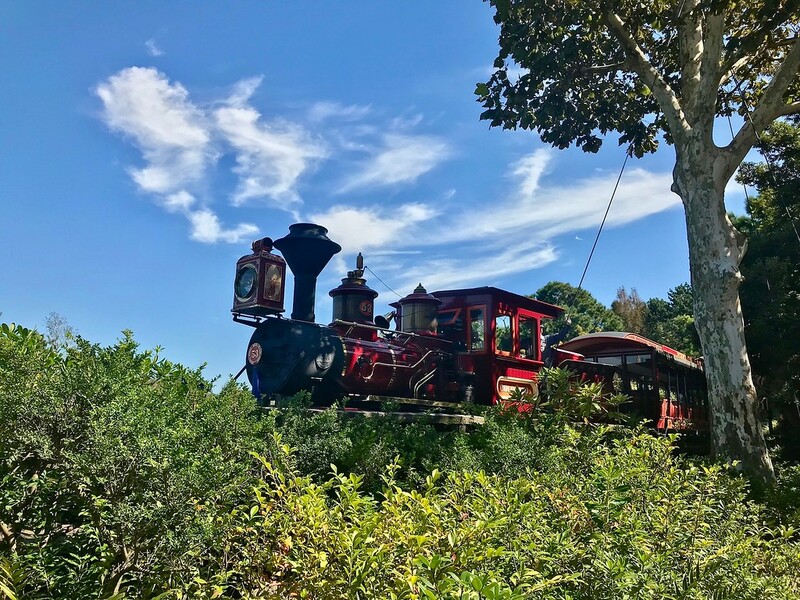 This is a steam train which takes you on a loop through the treetops. You’ll have views of Adventureland, Westernland, and Critter Country zones. 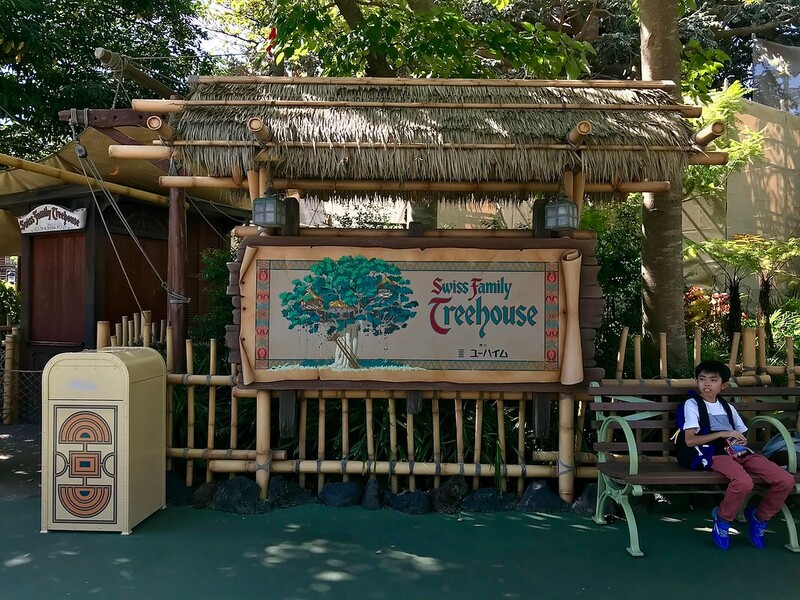 To your right you’ll see rides like the Swiss Family Treehouse. Further ahead, you’ll see a thatch-roofed building. 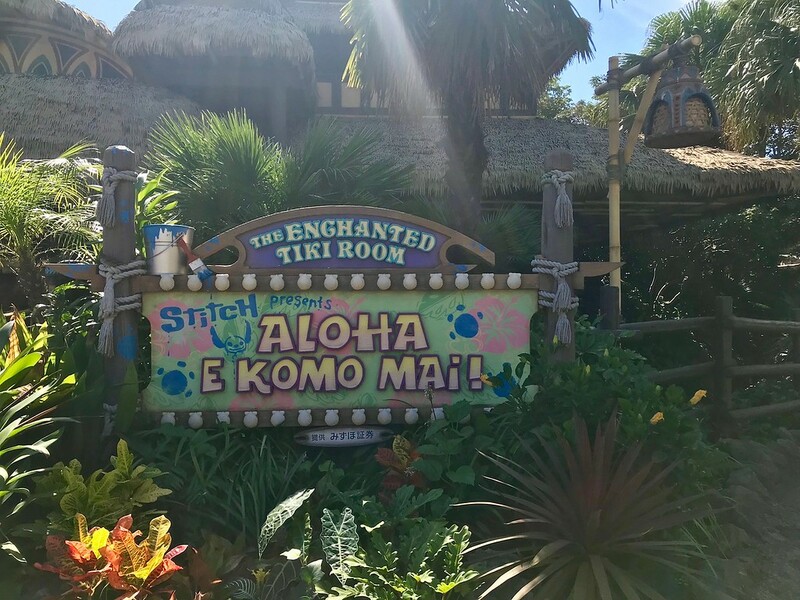 This is where The Enchanted Tiki Room show takes place. Walk past this building and keep left. This will take you to the next zone, Westernland. Westerland is a zone styled after the US western frontier along the Rivers of America. You’ll see plenty of wooden shanty-style houses, saloon-style restaurants and cafes, and hokey Native American Indian statues. There are also shops selling ‘Indian’ or ‘cowboy’-style clothing. 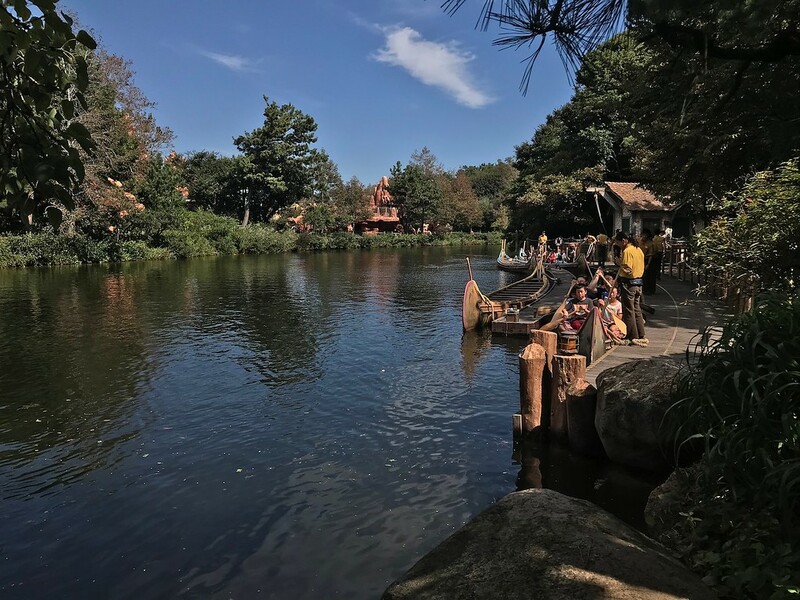 This area is home to attractions such as Big Thunder Mountain, Tom Sawyer Island Rafts (in the middle of the body of water up ahead), and the Mark Twain Riverboat. 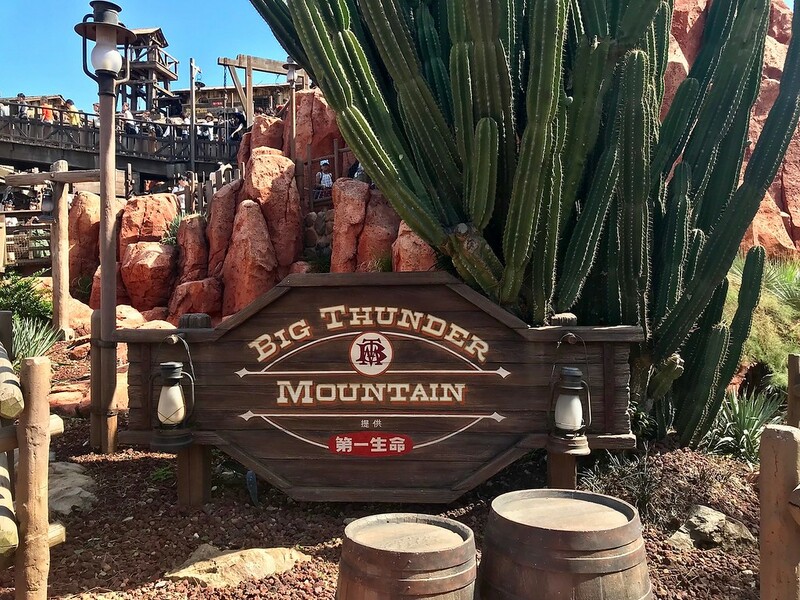 Walking straight but keeping left, you’ll arrive at the Big Thunder Mountain ride. The FastPass ticket machines for this ride are located opposite. 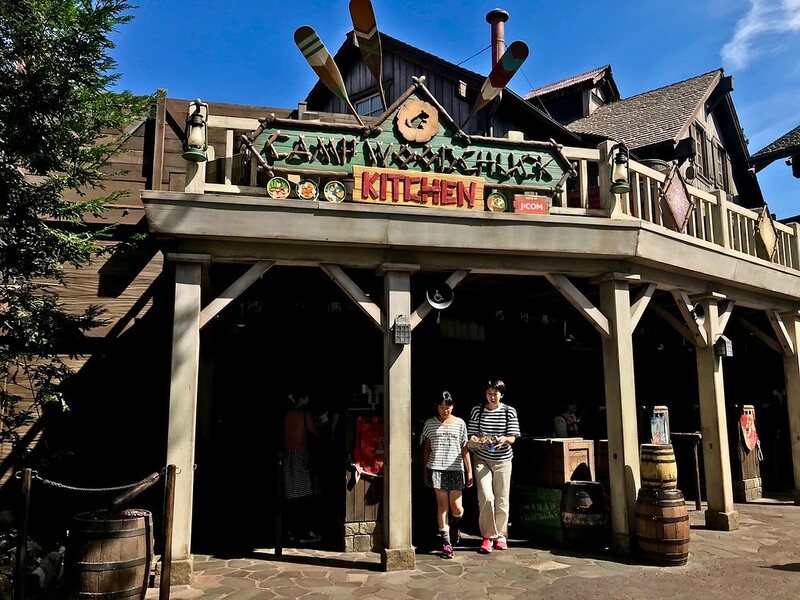 If you keep left and follow the brown road, you’ll encounter the Camp Woodchuck Kitchen. Following the path will take you to the Woodchuck Greeting Trail. At the end, you’ll meet Donald and Daisy Duck and have the chance to take photos with them. There is usually a queue and waiting time for this. 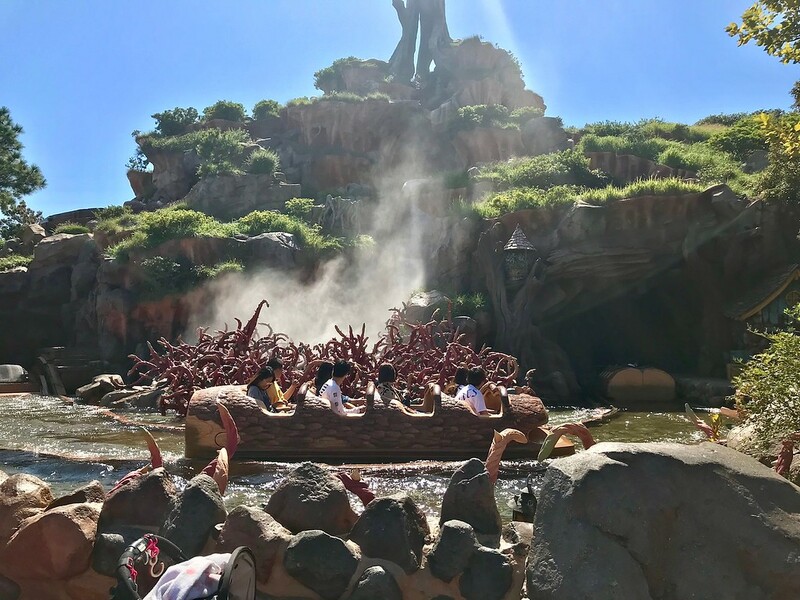 If you turn right after Big Thunder Mountain and walk straight, you’ll see a large boat on your left. This is Mark Twain’s Riverboat. Walk along. You’ll come to a passageway under the steam train tracks. 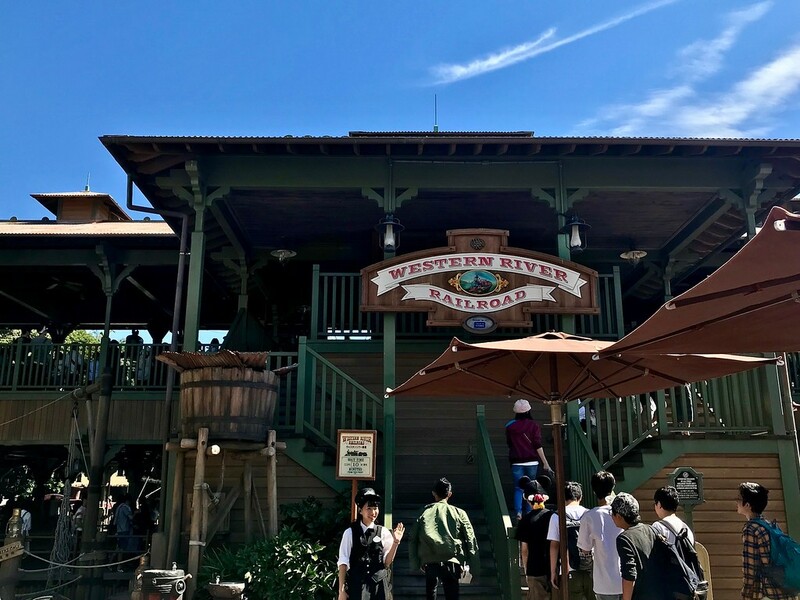 Take the staircase pictured above and turn left to enter the next zone, Critter Country. 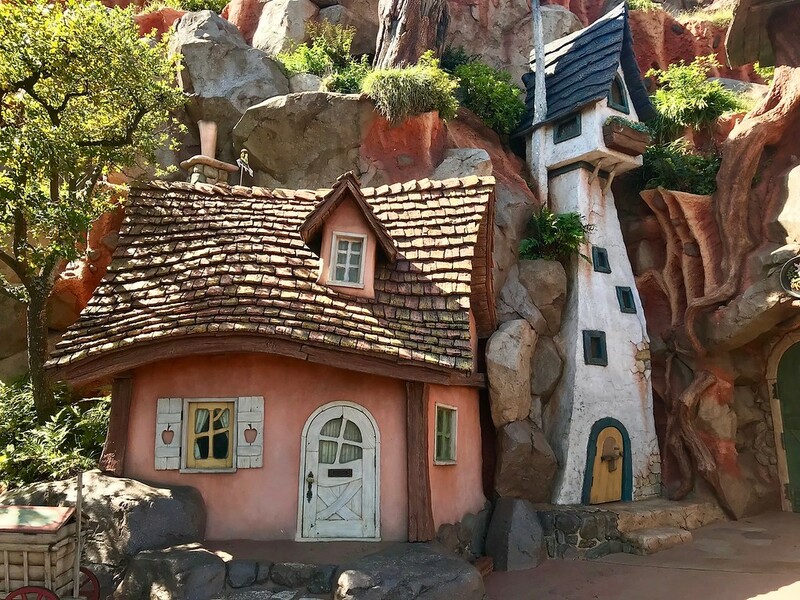 Critter Country is based on the Disney film Song of the South, and you’ll see characters like Br’er Rabbit, Br’er Fox, and Br’er Bear in this zone. 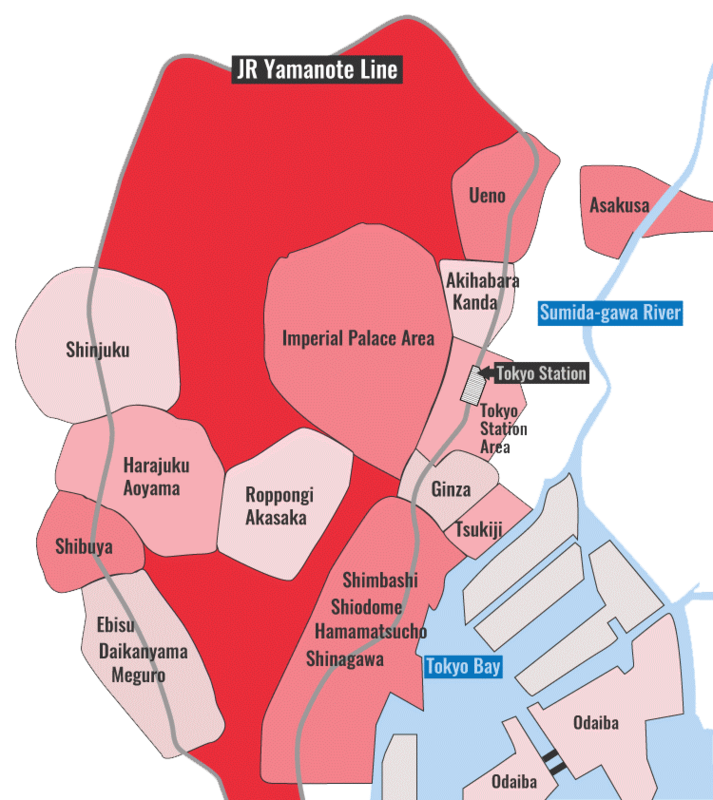 This is a relatively small zone, with only two attractions and two restaurants. Walking straight, you’ll see Grandma Sara’s Kitchen on your right. 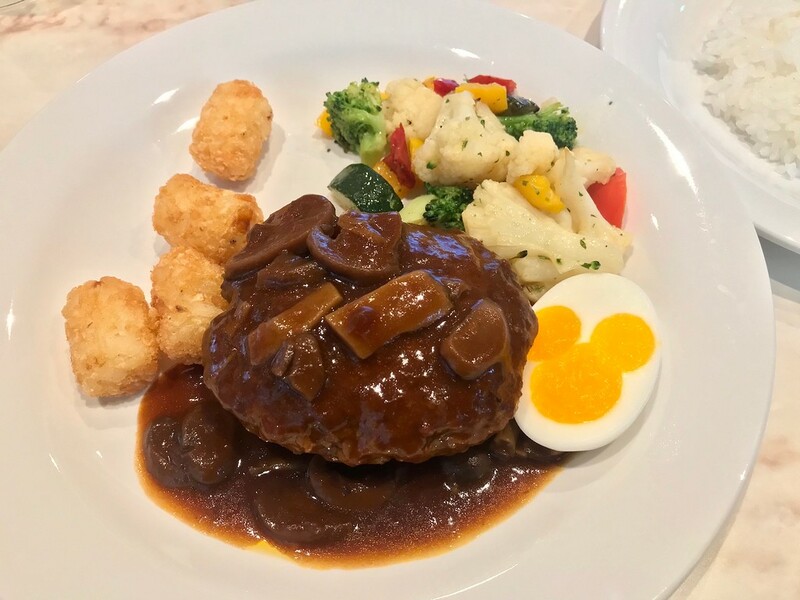 They serve rice plates here, with omelettes, cream croquettes, and meat patties. Their special set is the roasted chicken with rice. 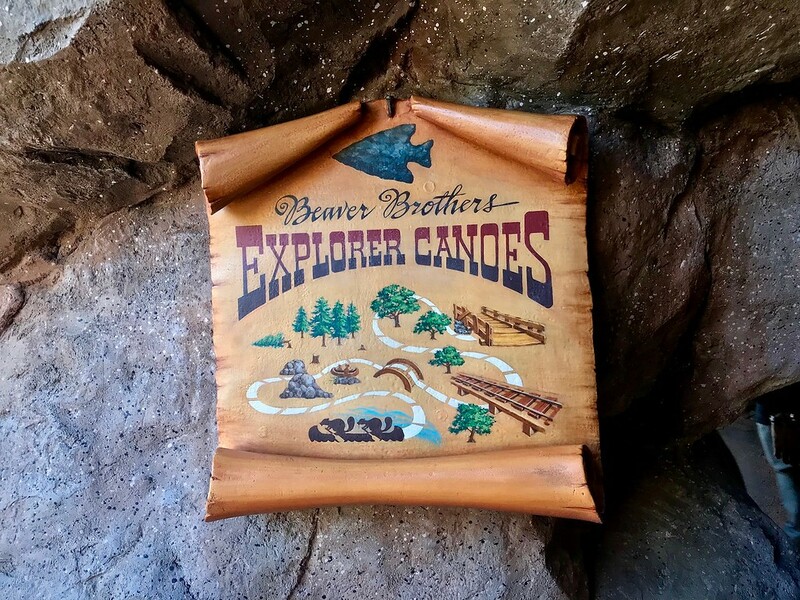 Further along, if you follow the signs to the canoe and head down to the water, you’ll see the Beaver Brothers Explorer Canoes attraction, just beyond Rackety’s Raccoon Saloon. You can join the guided canoe tours along the river here with other people. This is fun for families. You’ll also see the steam train passing by this area. Doubling back and heading out the way you came and keeping left will take you to the next zone, Fantasyland. 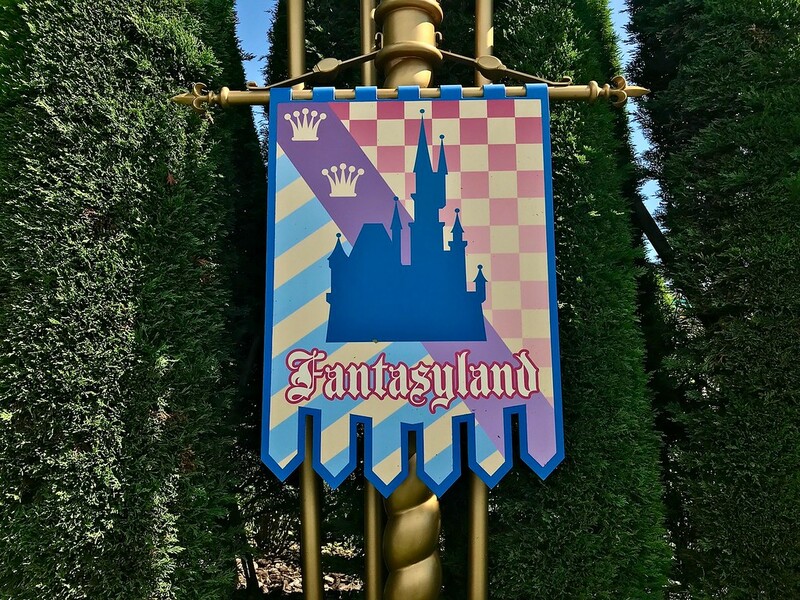 Fantasyland is a zone based on classic animated Disney films. 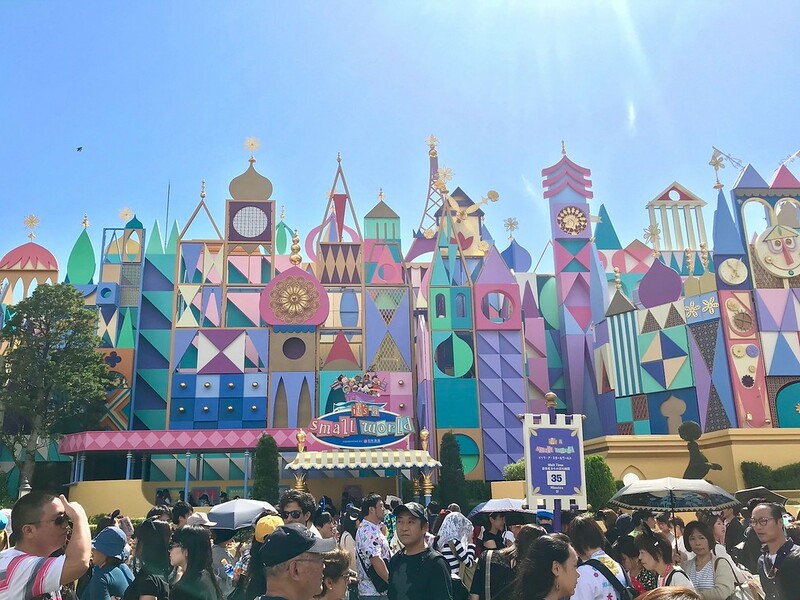 If you grew up with Disney, you’ll be familiar with all the films in this zone, from Alice in Wonderland to Sleeping Beauty to Pinocchio. 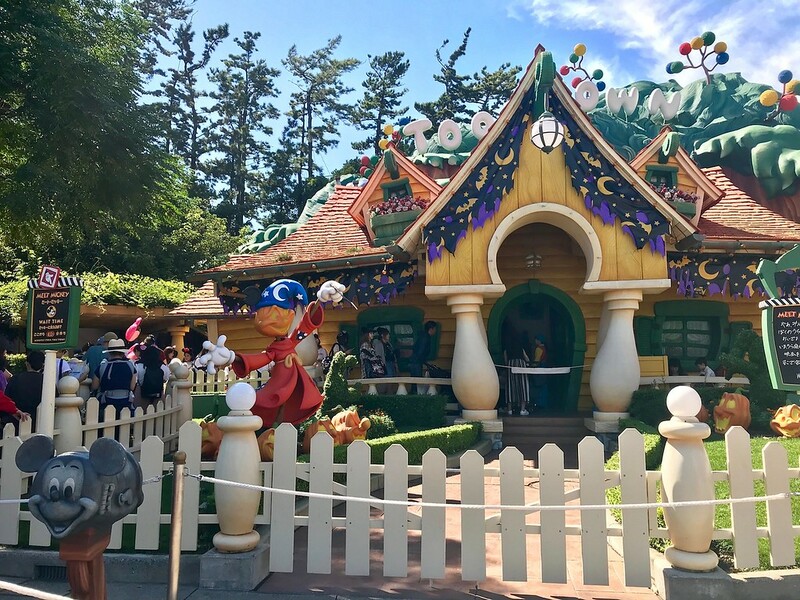 This is home to two of the most popular attractions in the park, Pooh’s Hunny Hunt and Haunted Mansion, both of which have FastPasses available. The first ride you’ll see to your right is Peter Pan’s Flight. A short walk ahead on the right is Snow White’s Adventures. Opposite that on the far left is the Haunted Mansion. There’s often a long queue for this attraction. Walking along, you’ll see several more rides along the center of the road. 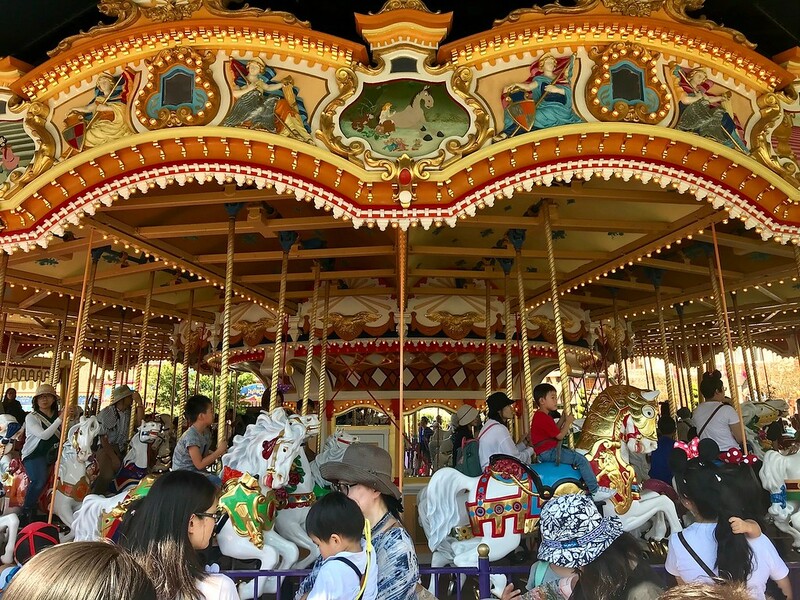 These are, respectively, Castle Carousel (a merry-go-round) and Alice’s Tea Party. Both are very child-friendly rides. On the right after Castle Carousel you’ll see Cinderella’s Castle. At the castle entrance on this side is the Cinderella’s Fairy Tale Hall attraction, where you can explore rooms in the castle. 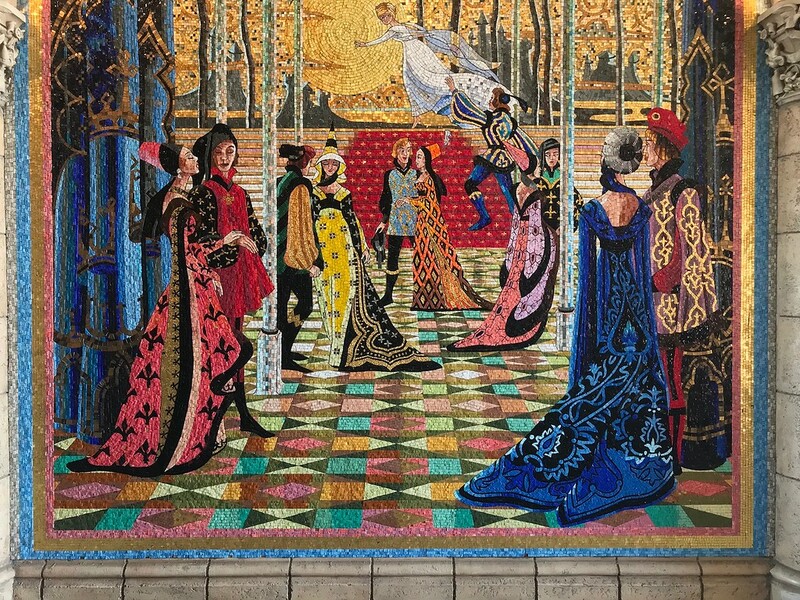 Continuing on the path will lead you past the Queen of Hearts Banquet Hall. It’s another popular restaurant and you’ll see queues for this towards lunchtime. Just after the restaurant on your left is the It’s A Small World attraction. 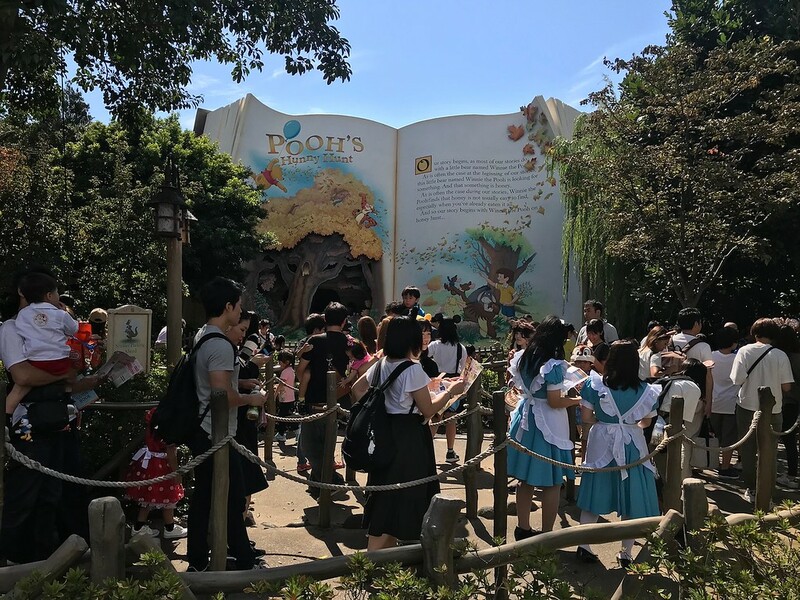 Walking further along will lead you to Pooh’s Hunny Hunt, one of the most popular attractions in the park. 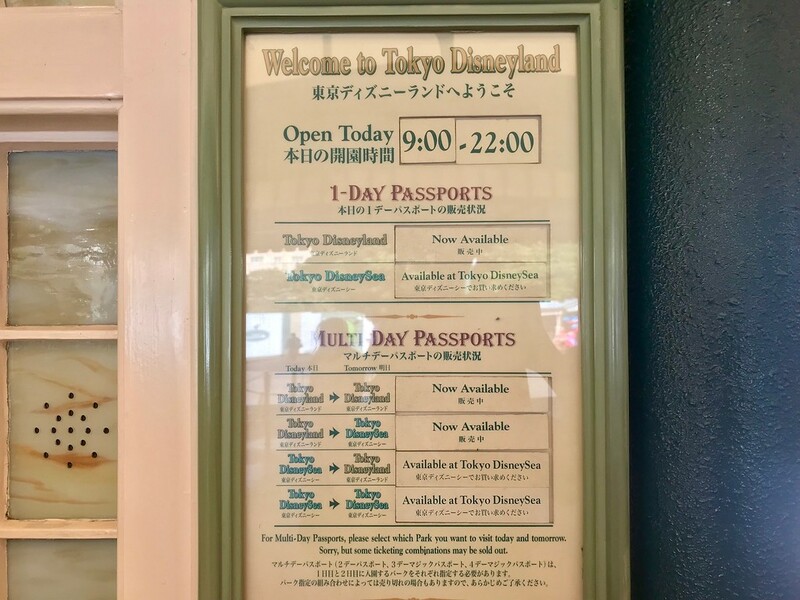 FastPasses for this ride run out the fastest out of all the rides in Tokyo Disneyland, so if this is a must-do, you should aim to pick up FastPasses here first thing in the morning. 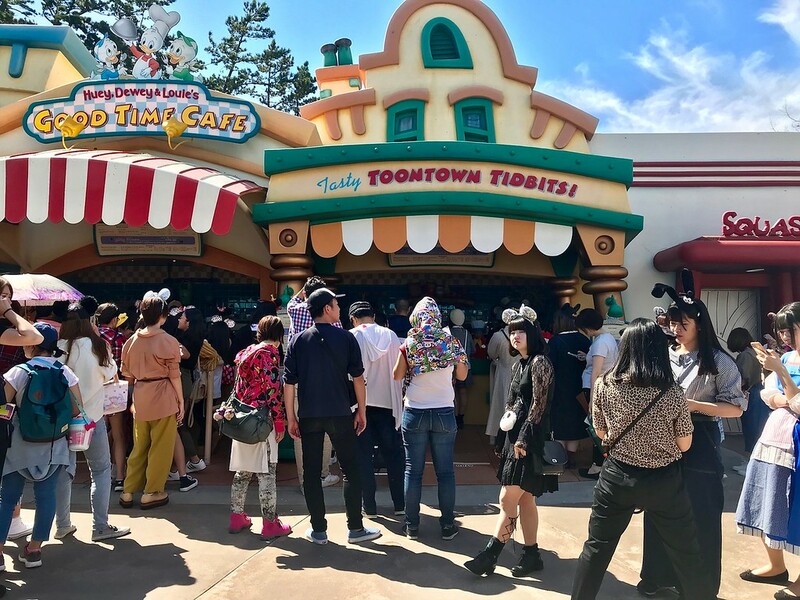 Welcome to Toontown. This is a suburban neighborhood where Disney characters live, work, and play. 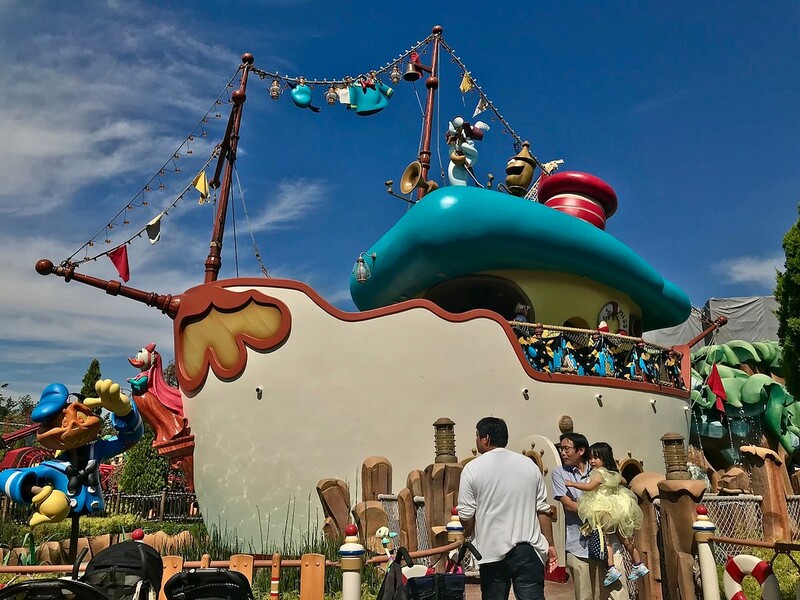 It’s particularly popular with young children and their parents, as the rides and attractions here are specifically designed with younger children in mind. 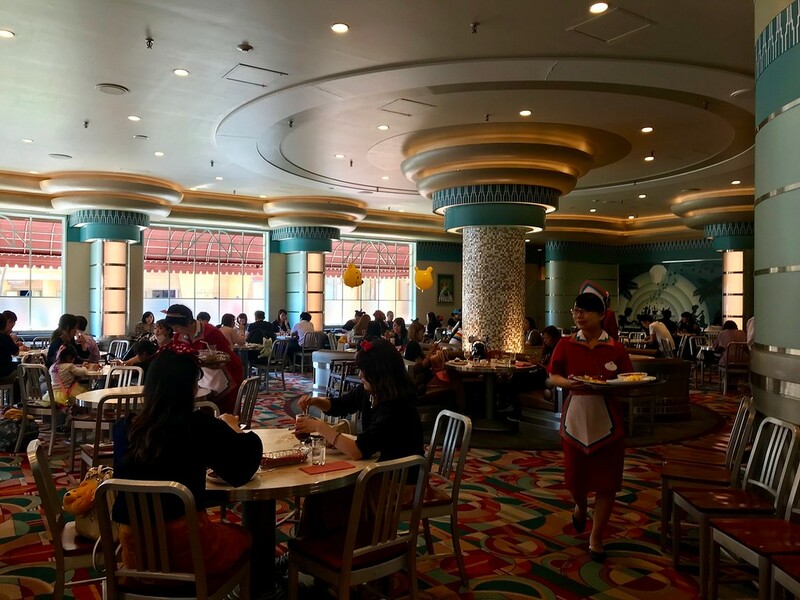 To the left, you’ll see a number of restaurants and counter-style cafes, such as Huey, Dewey and Louie’s Good Time Cafe. 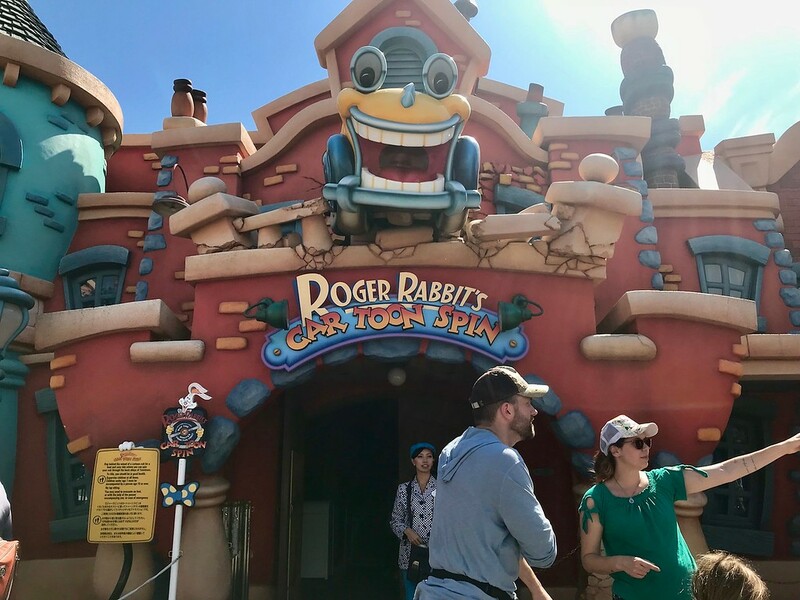 Further towards the left are a few shops and Roger Rabbit’s Car Toon Spin. There are also plenty of interesting backdrops for photo opportunities here. 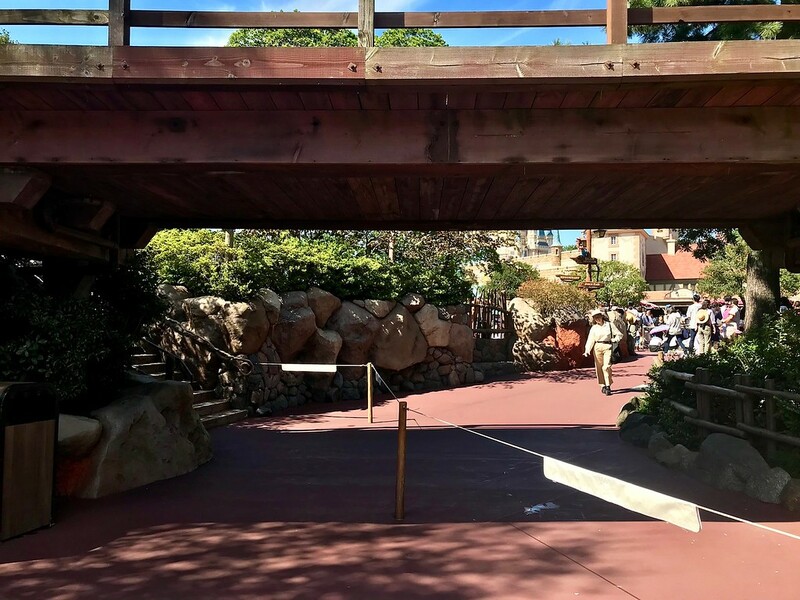 Upon entering the zone, following the path but keeping right will take you towards attractions such as Goofy’s Paint n’Play House, Chip n’ Dale’s Treehouse, Donald’s Boat, and Mickey’s House. 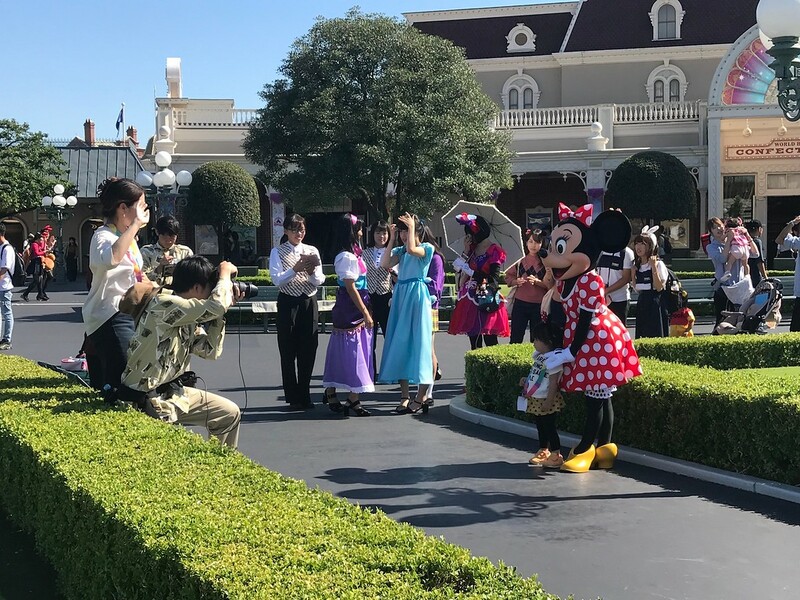 At Mickey’s House, you can queue up to meet and take a photo with Mickey Mouse (or rather, a member of staff dressed up as Mickey). 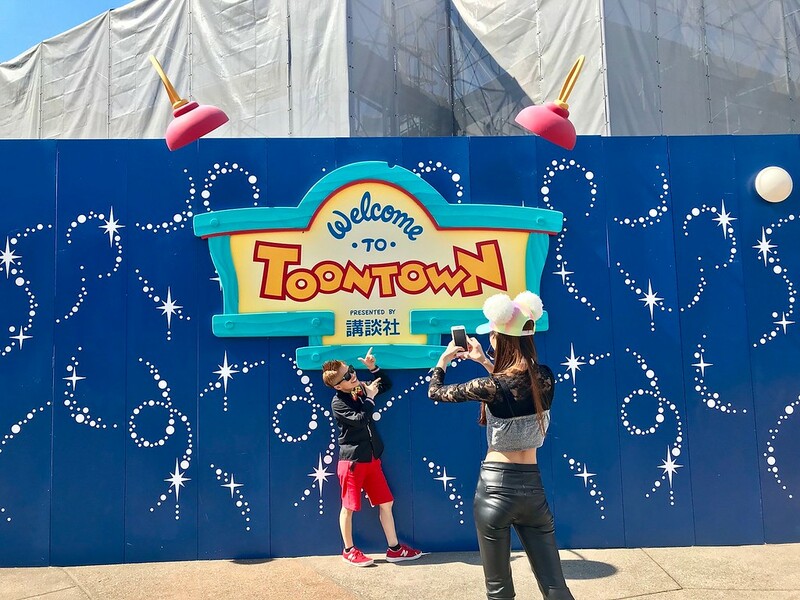 Doubling back out of Toontown in the direction from which you came and turning left, with the construction site on your left, will take you towards the Tomorrowland zone. You’ll pass by a construction site situated between Toontown and Tomorrowland. 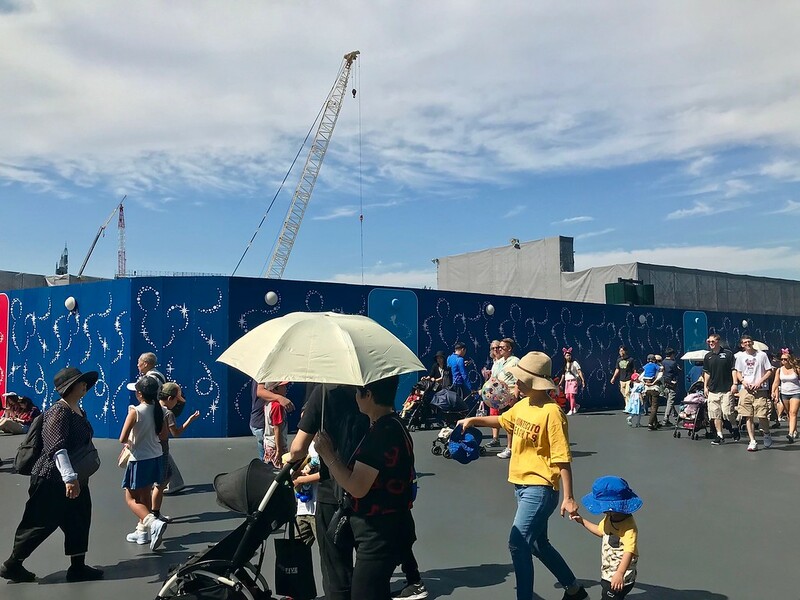 This is a new area slated to open in 2020. We’ll update this page when the new area is open. Tomorrowland is, as the name implies, all about futuristic fun and outer space-themed adventure attractions. The buildings are painted in shades of white and blue, and they look a little like someone’s idea of the future from the 90s. 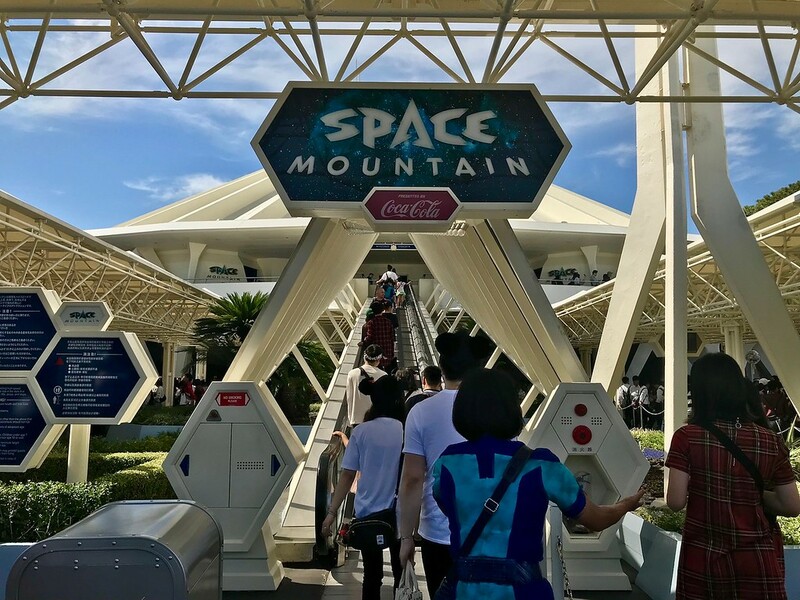 This is home to popular rides such as Space Mountain, Buzz Lightyear’s Astro Blasters, and Monsters, Inc. Ride & Go Seek! FastPasses are available for all of these rides. 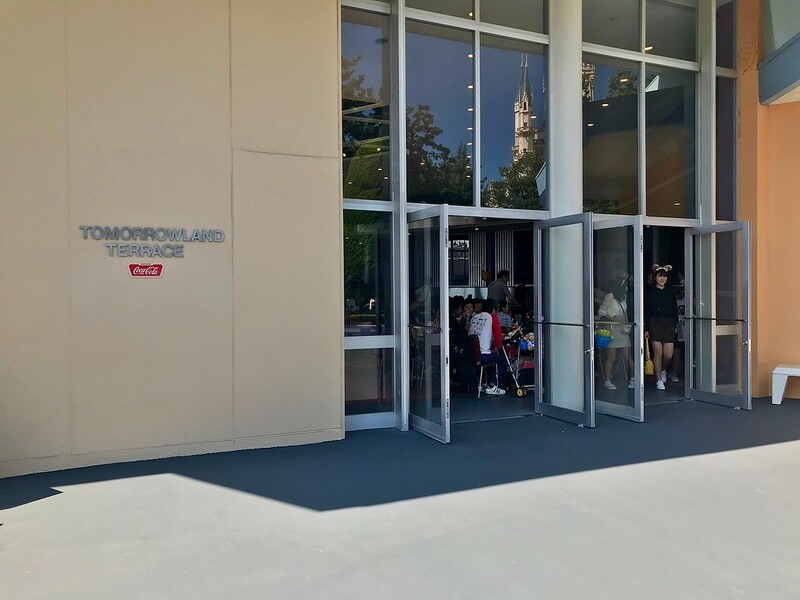 The first building you’ll see on your left is Tomorrowland Terrace. This is a large restaurant serving mainly sandwiches and other fast food. Turn left into the zone and follow the path. You’ll see Treasure Comet on your right. 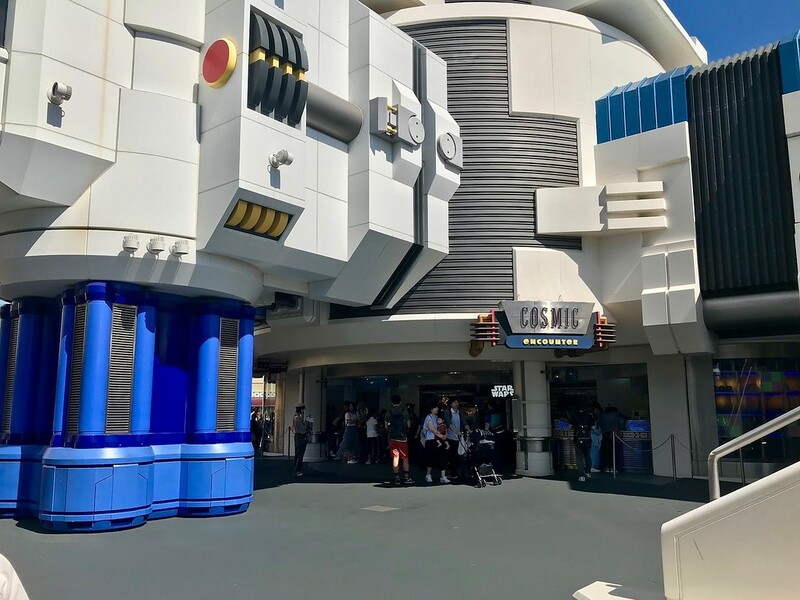 Opposite this on your left in the distance is the entrance to the Space Mountain Ride. This is a high-speed rollercoaster made more exciting by taking you through outer space, mostly in the dark. Keep walking straight, between the buildings. 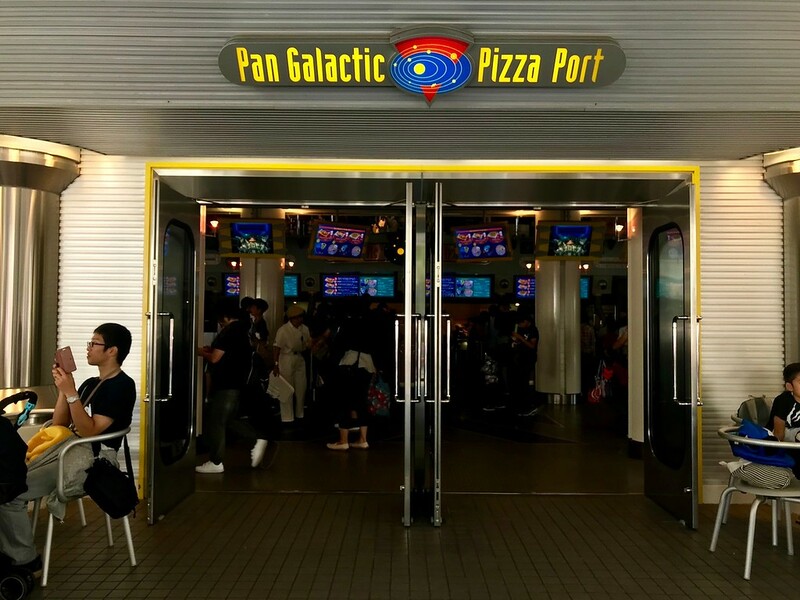 You’ll pass by restaurants and shops on your right, including the Pan Galactic Pizza Port. 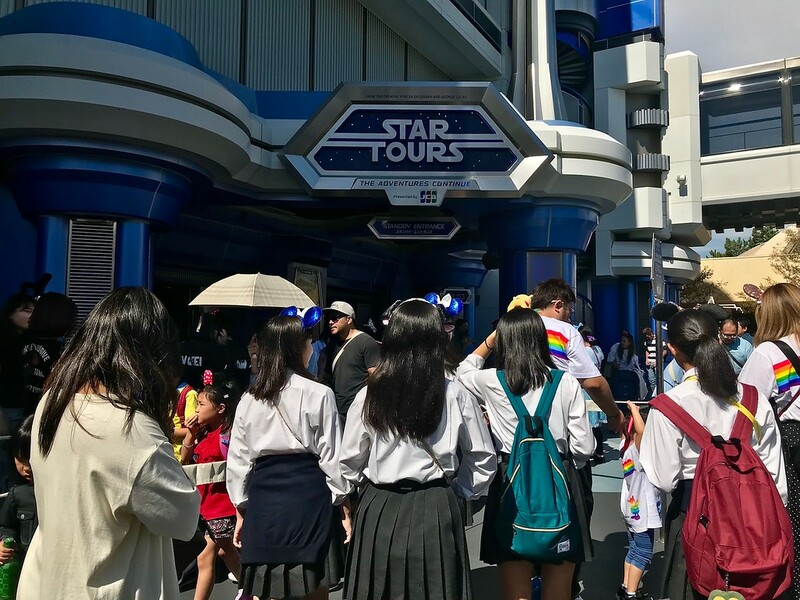 On your left, up ahead, you’ll see the Star Tours: The Adventures Continue ride. Walking along, you’ll see the Monsters, Inc. ride on your left. Here, you’ll ‘shoot’ monsters by holding up a flash light while riding on a tram. On your left, you’ll see Plasma Ray’s Diner. This is a restaurant serving rice bowls, Mickey’s glove-shaped sandwiches, and more. A short distance ahead is the World’s Bazaar zone. You’ll then be back where you started. Our Tokyo Disneyland park map is realistic and designed for use on a smartphone. You can view the full sized version in Google Maps too. 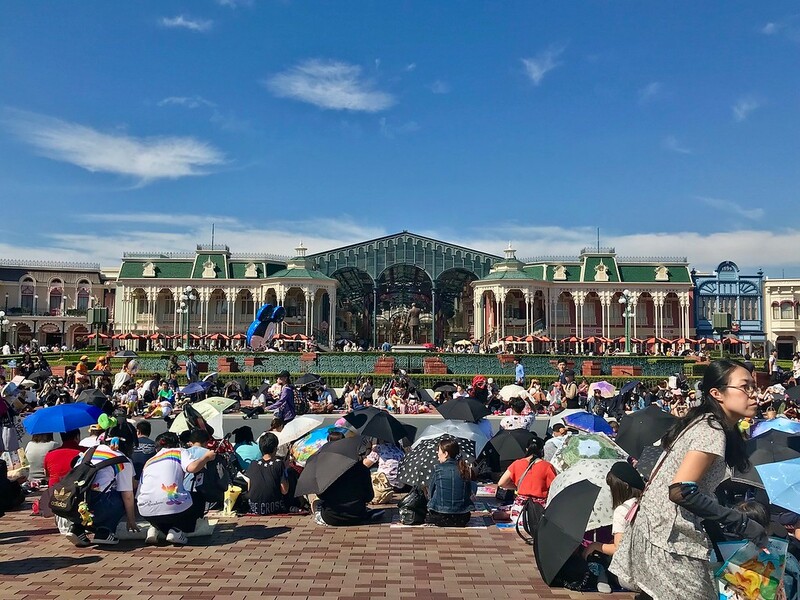 Your time at Tokyo Disneyland can either be one of the best days of your life, or a miserable series of long lines and unhappy kids. Good planning and good timing can make all the difference. Here are some handy tips. Make reservations for popular restaurants as early as possible to guarantee your seats. If you are able to, make these reservations online. 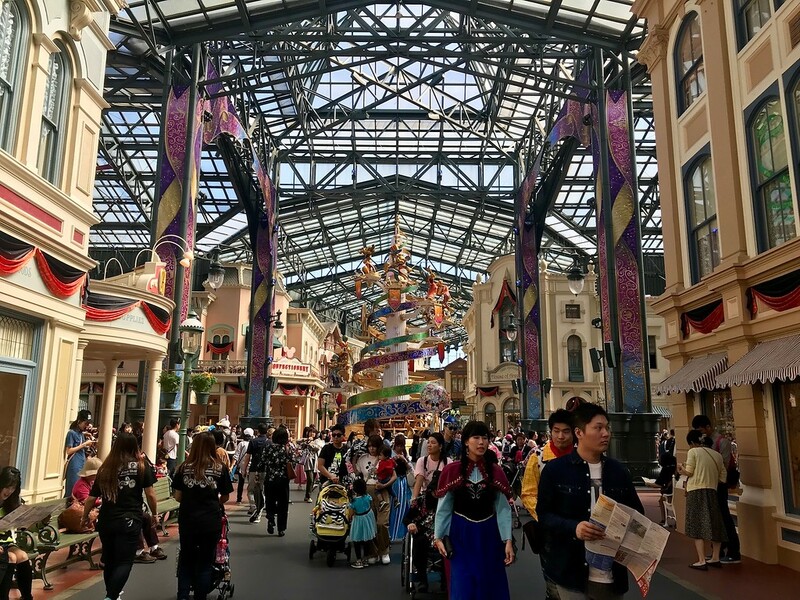 Tokyo Disneyland is only 17 minutes or so by train from Tokyo Station, so you can stay in the center of the city and visit this theme park. But, staying at the park makes everything easier and more convenient. 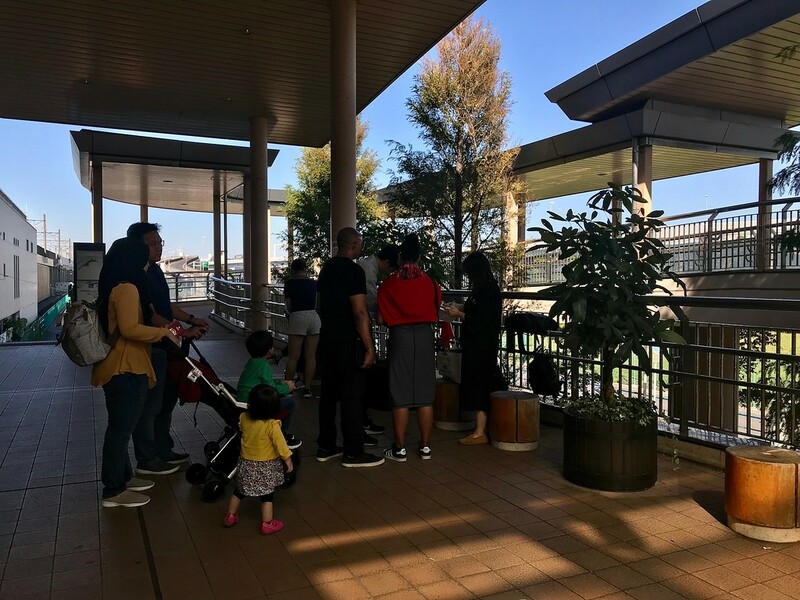 The hotels listed here are all within easy walking distance of Tokyo Disneyland; or are connected by a short shuttle bus ride.